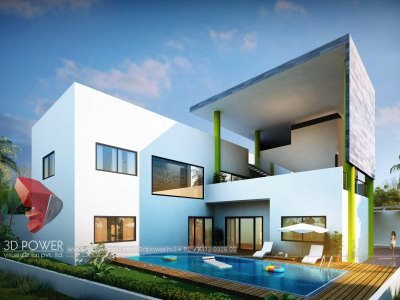 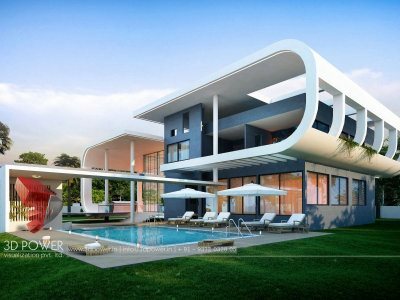 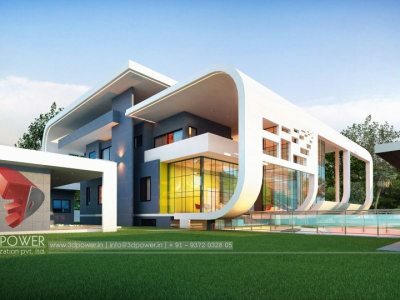 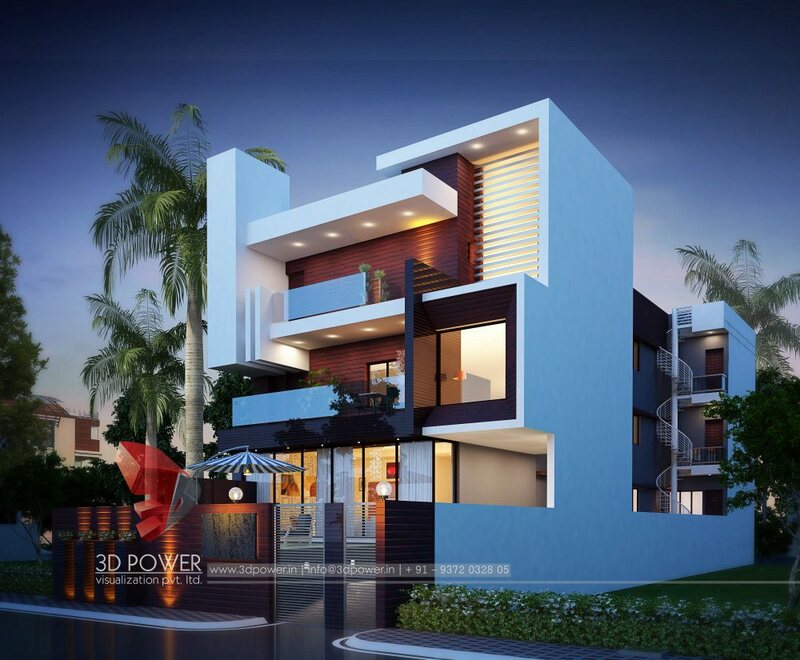 3D Power is the one stop shop for fulfilling your visualization needs and matching the ever changing architecture scenario. 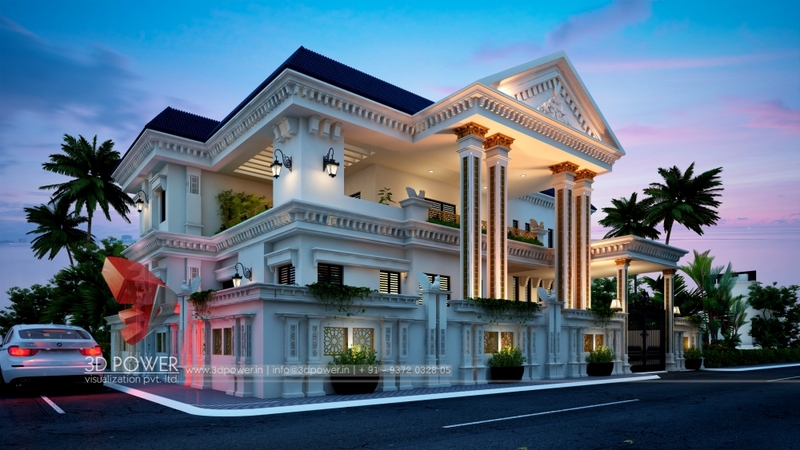 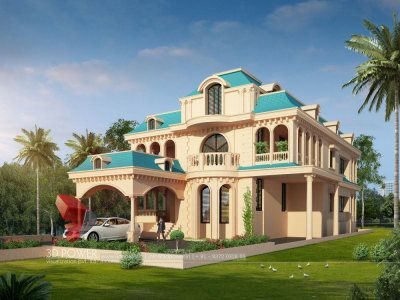 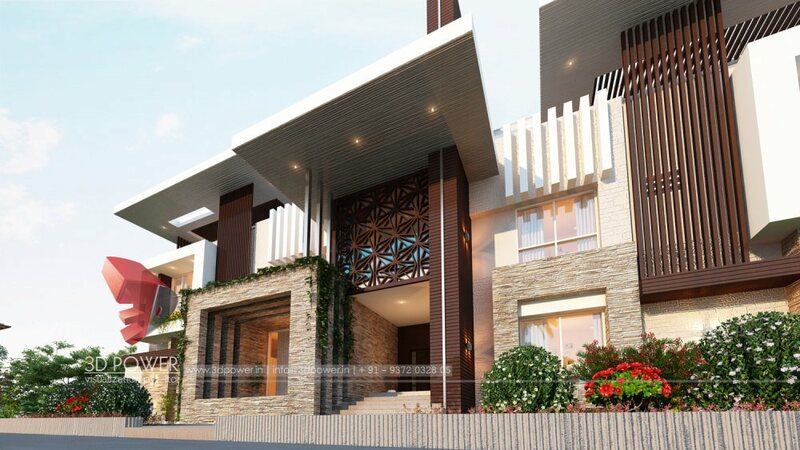 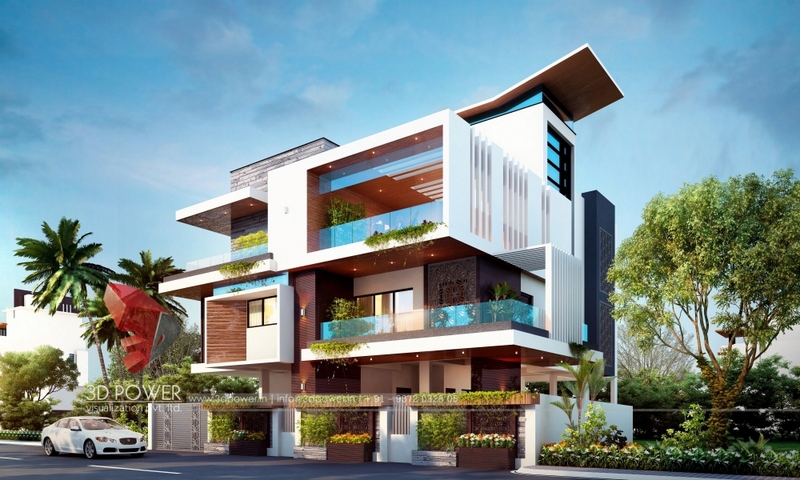 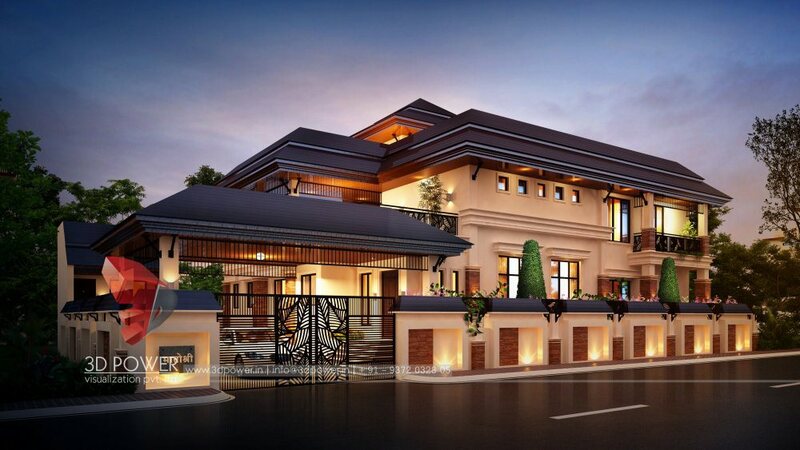 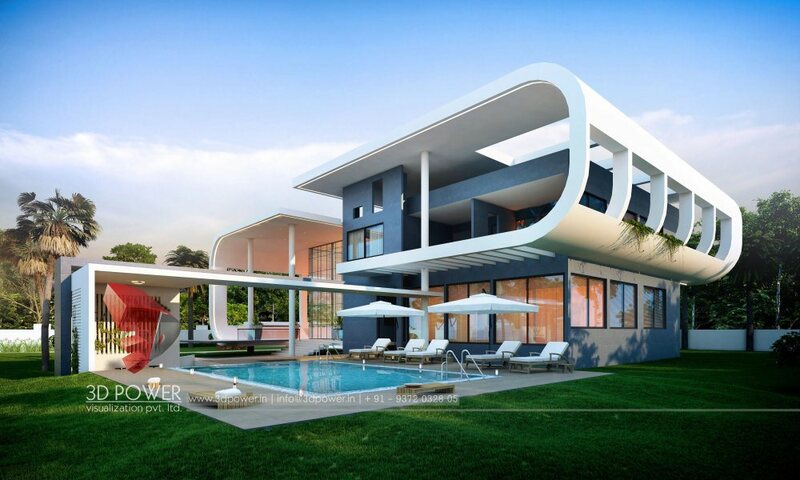 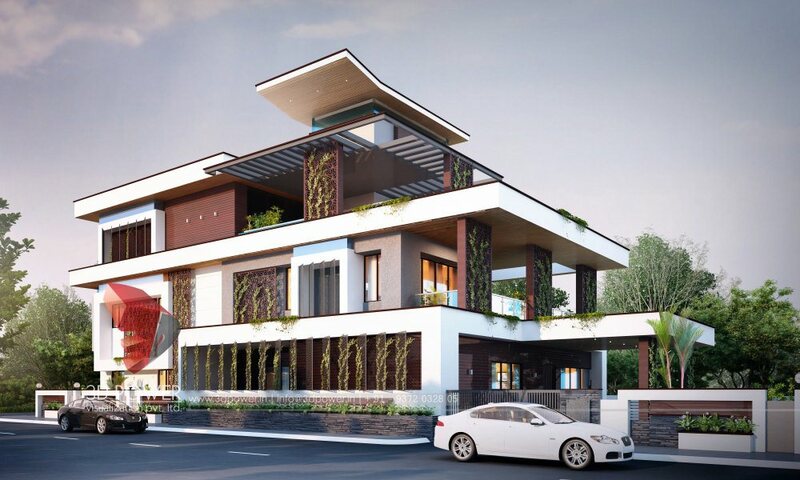 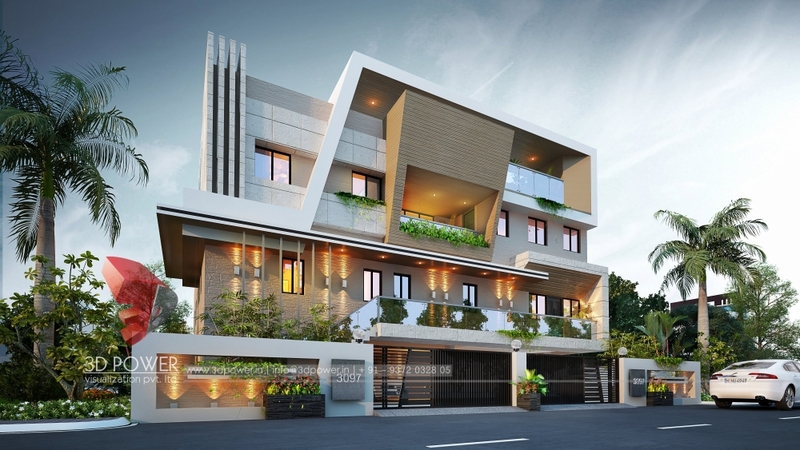 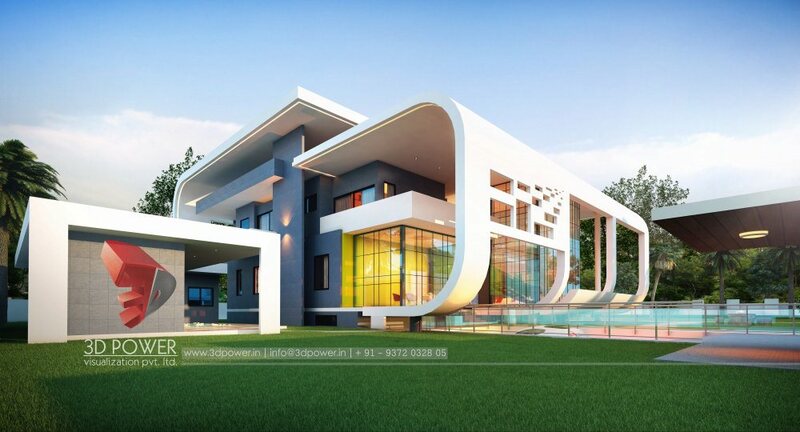 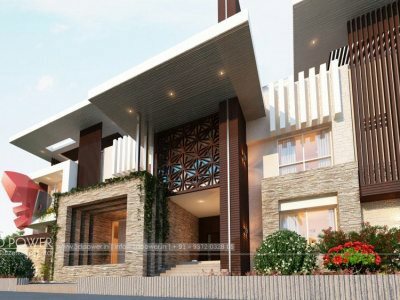 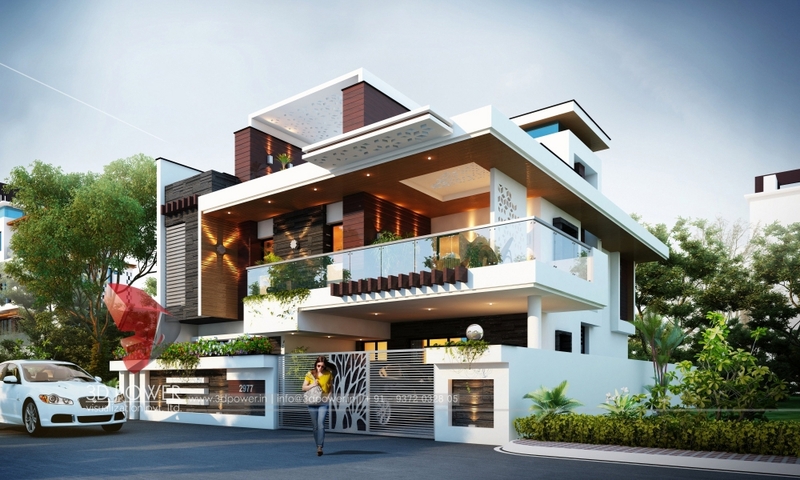 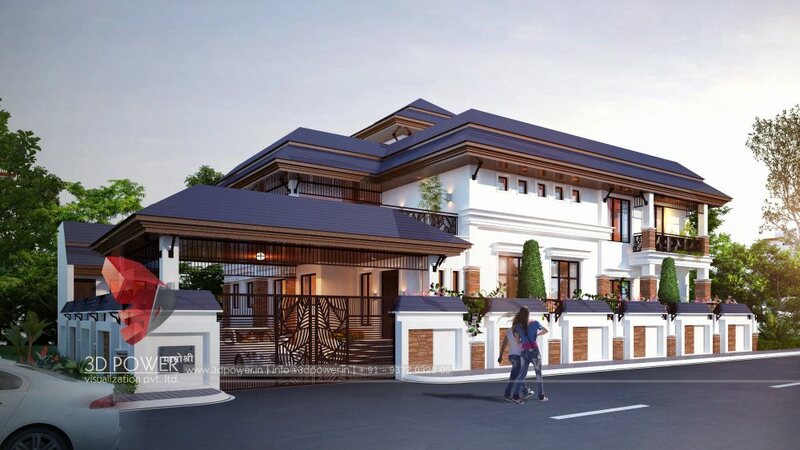 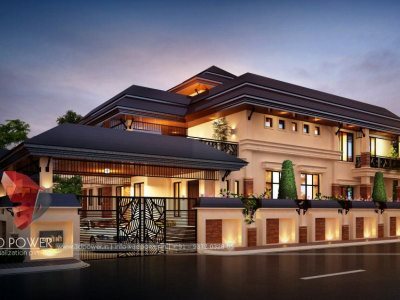 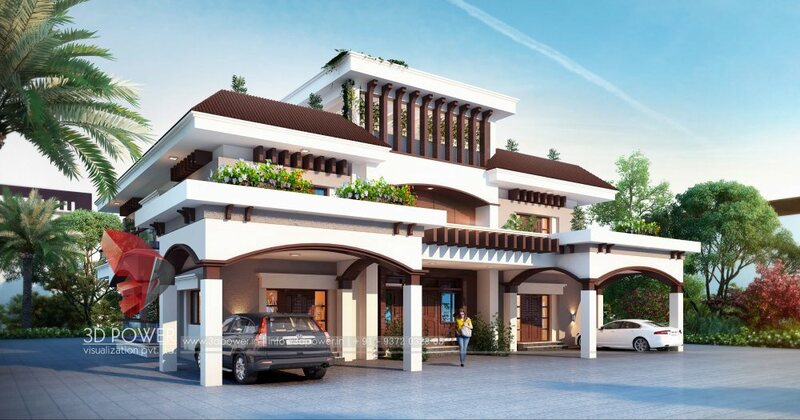 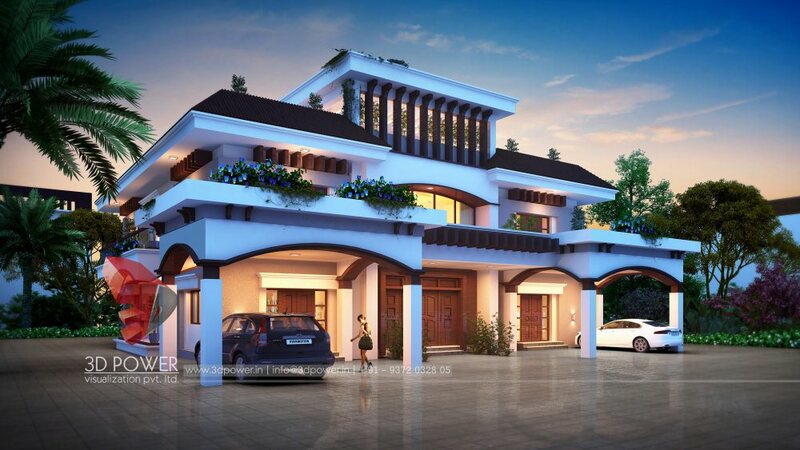 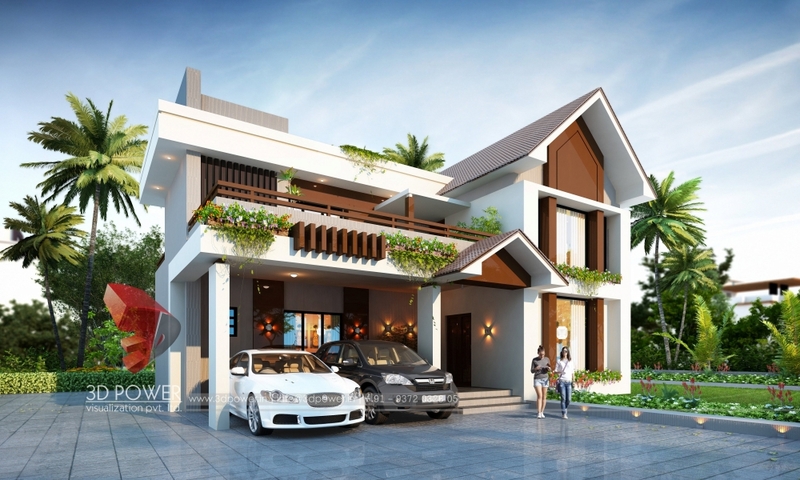 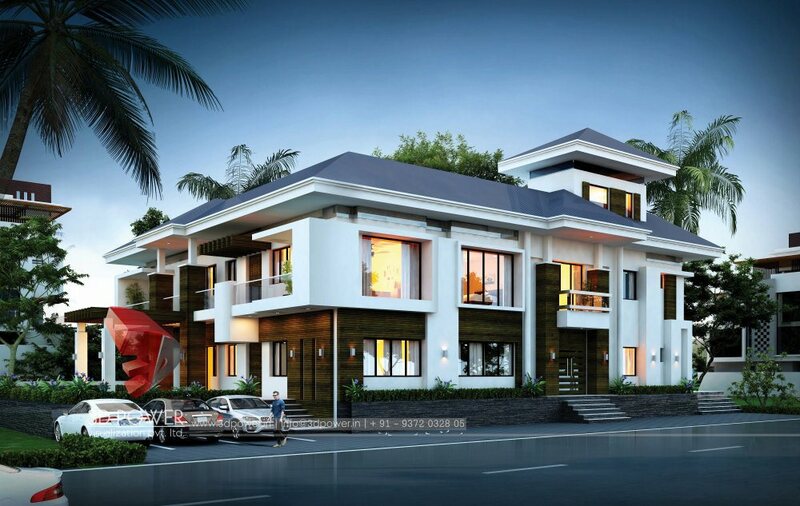 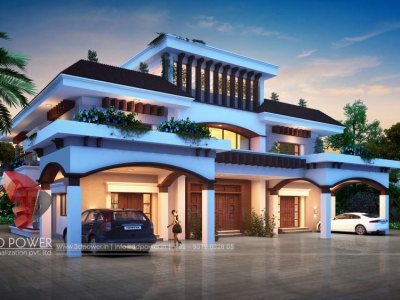 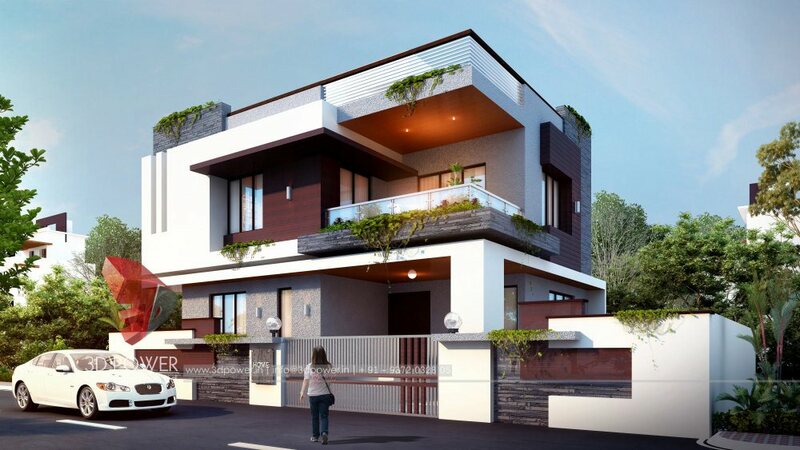 Architectural visualization contributes heavily towards finalization of a modern bungalow. 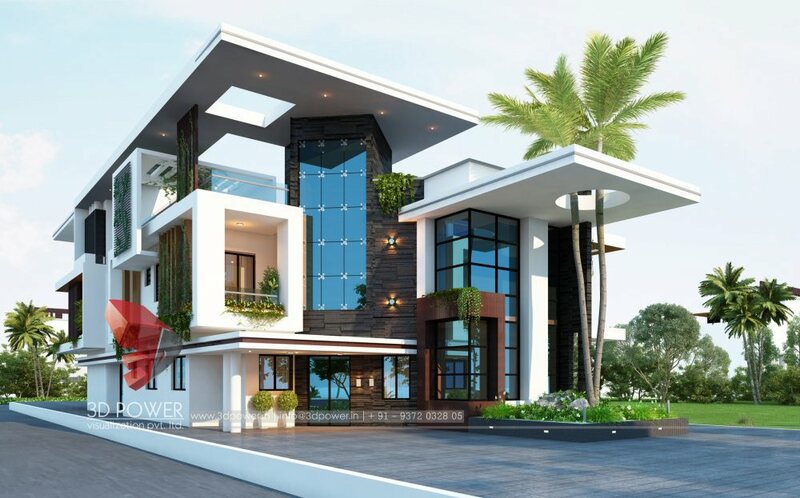 Our designers with their creative ability use the required tools to make the modern bungalow design come to life and easily depict the required changes to the clients. 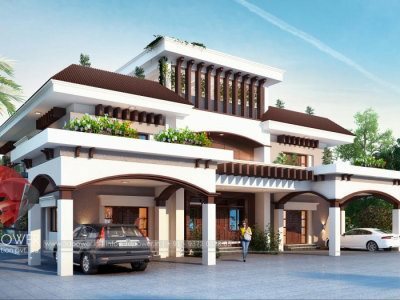 These designs make it easy for the clients to see the final picture of their desired bungalow even before it actually gets constructed. 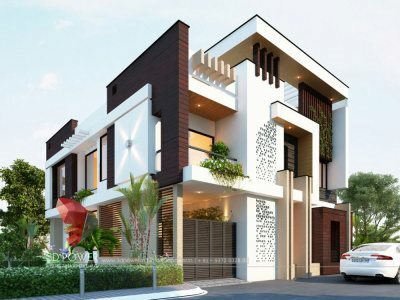 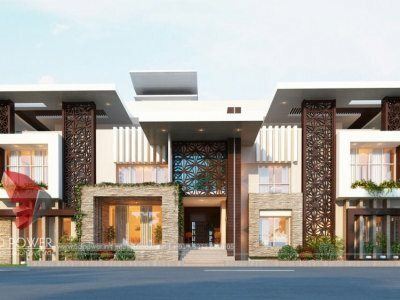 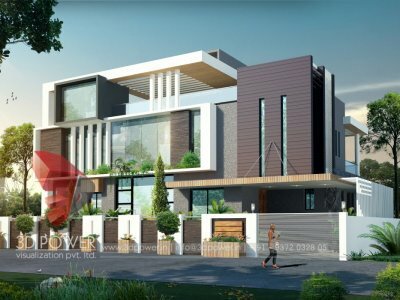 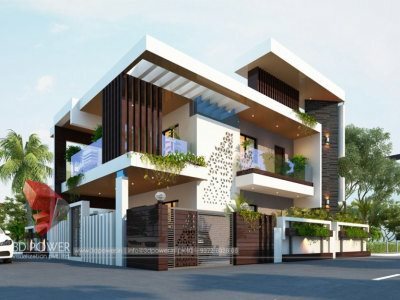 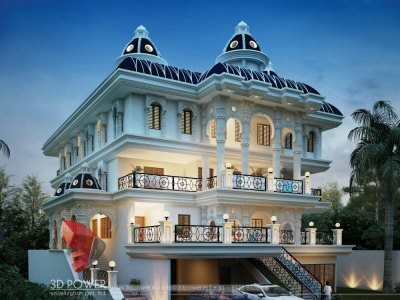 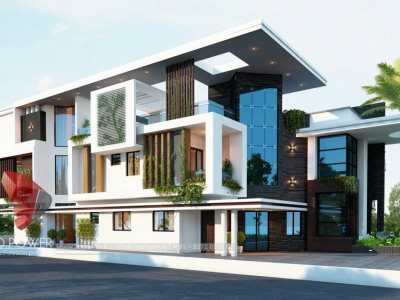 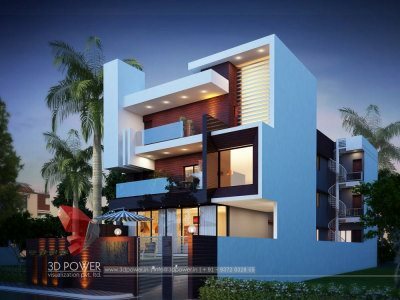 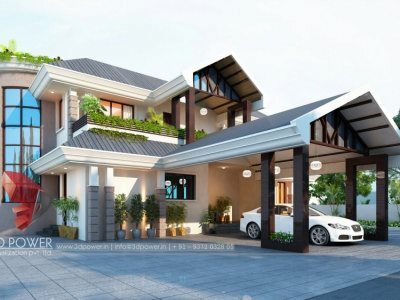 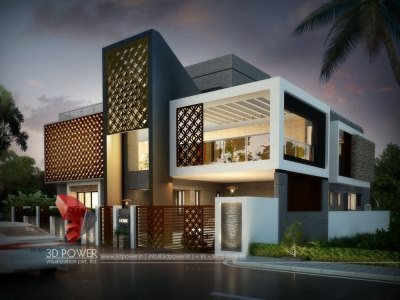 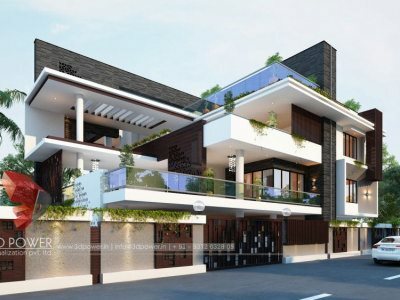 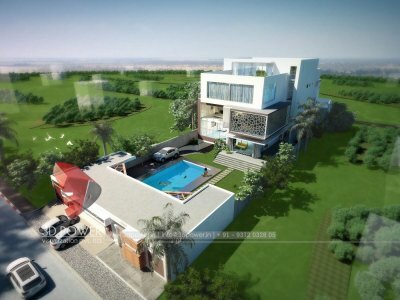 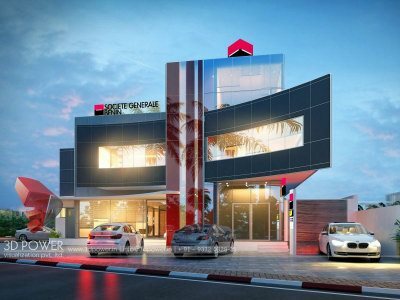 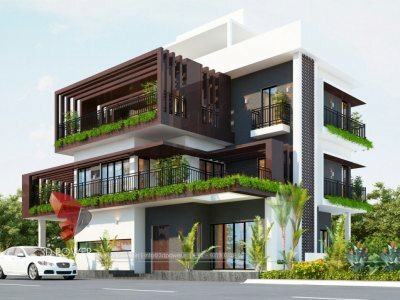 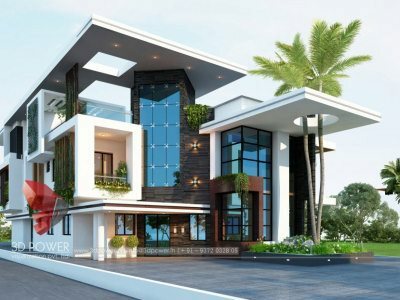 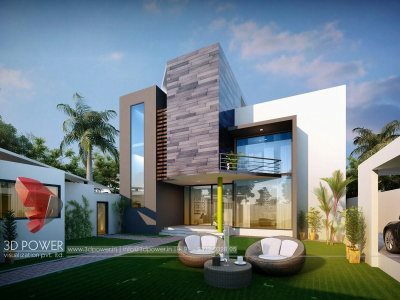 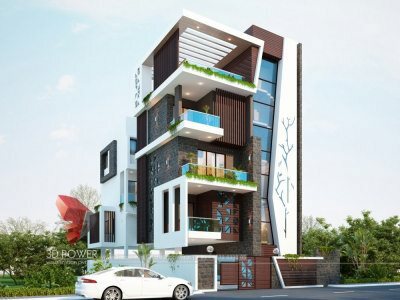 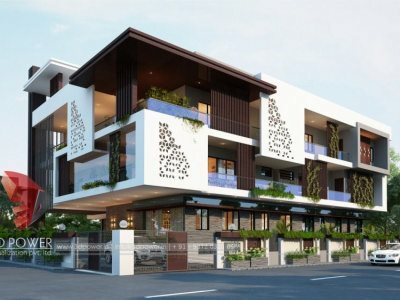 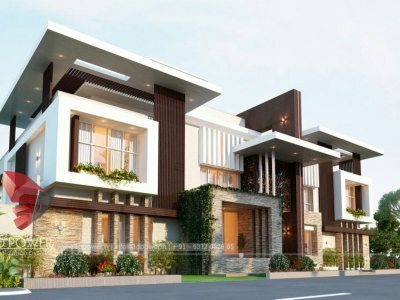 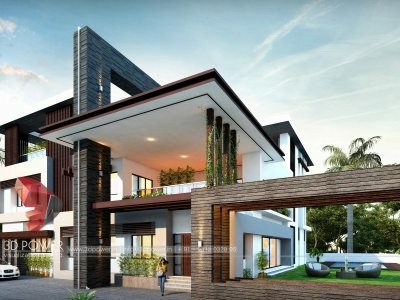 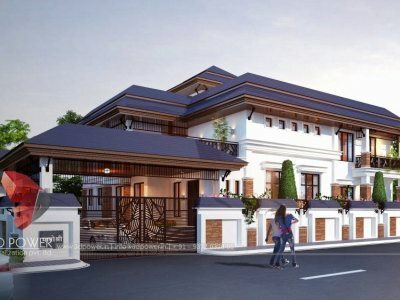 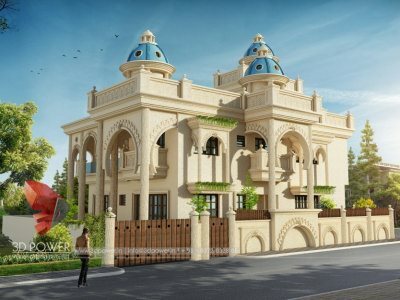 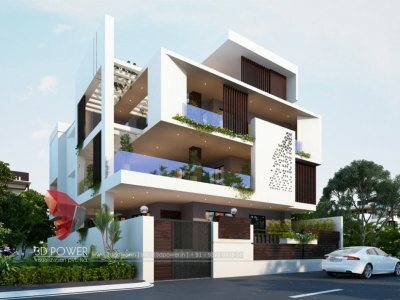 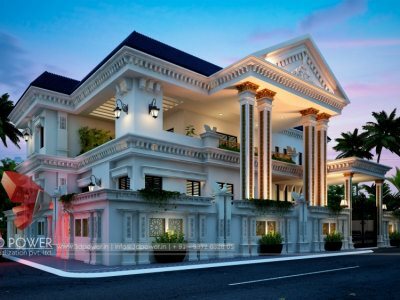 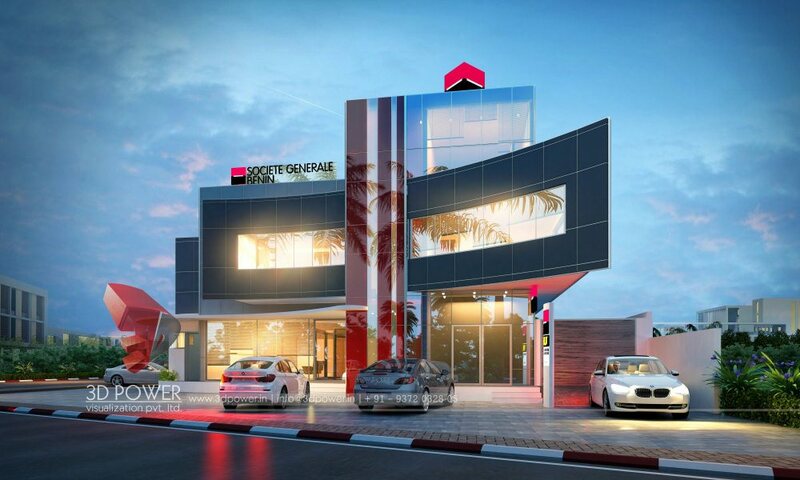 3D Power offers top quality modern bungalow designs with unique elevation design and top notch rendering quality. 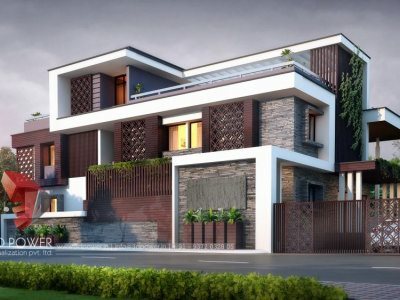 It has been our top priority and Endeavour to introduce new trends in the field of visualization to make the real estate segment more vibrant, competitive and customer oriented. 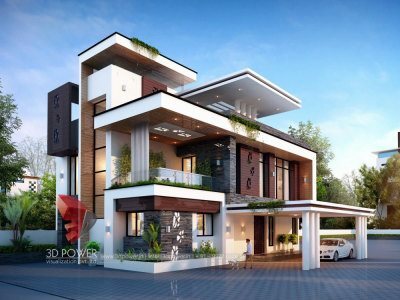 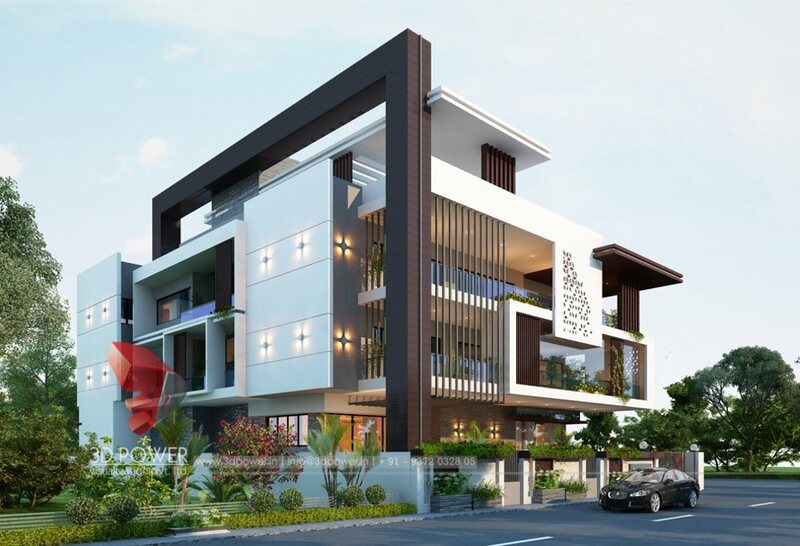 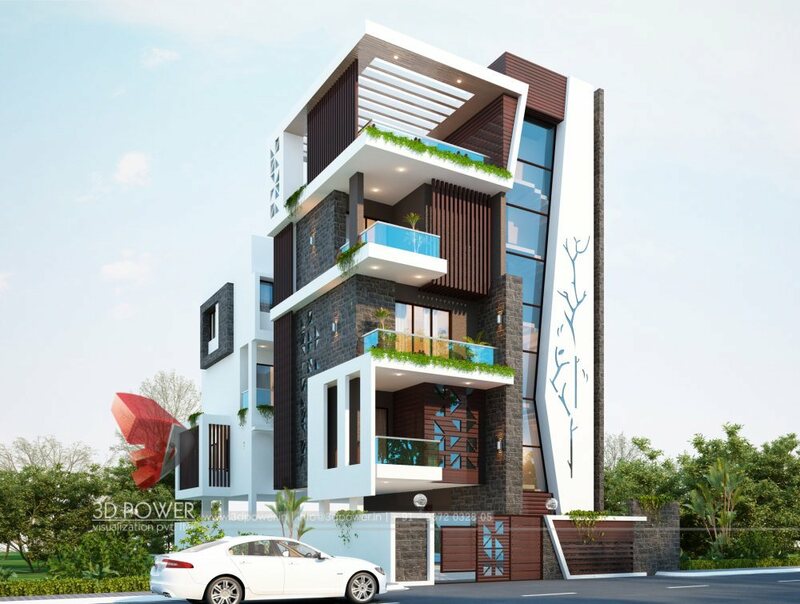 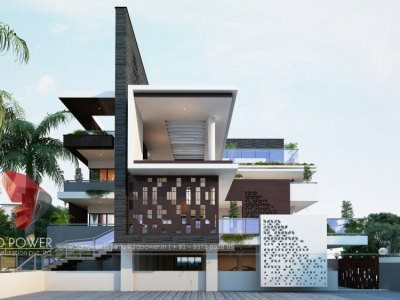 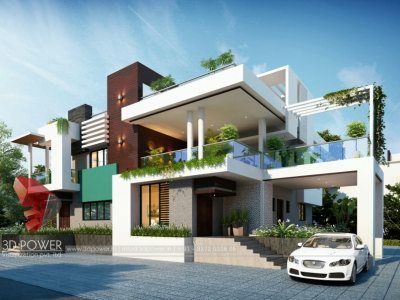 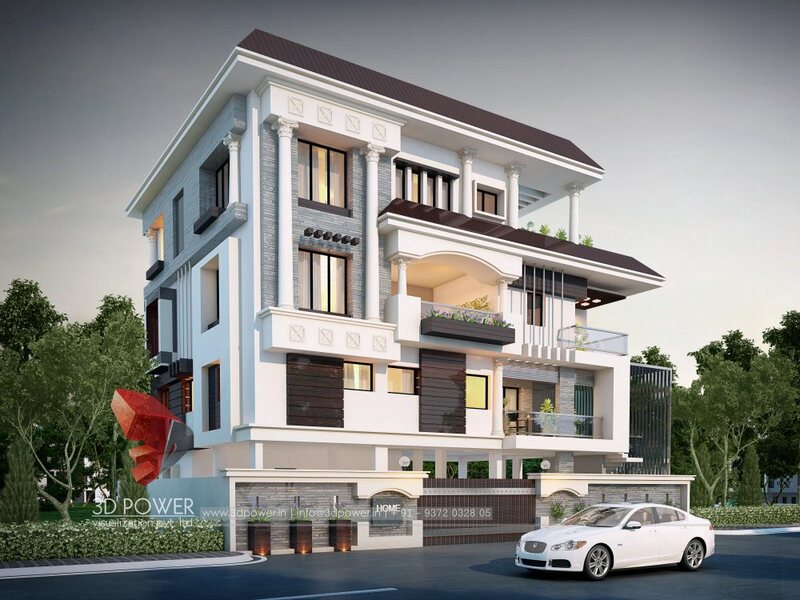 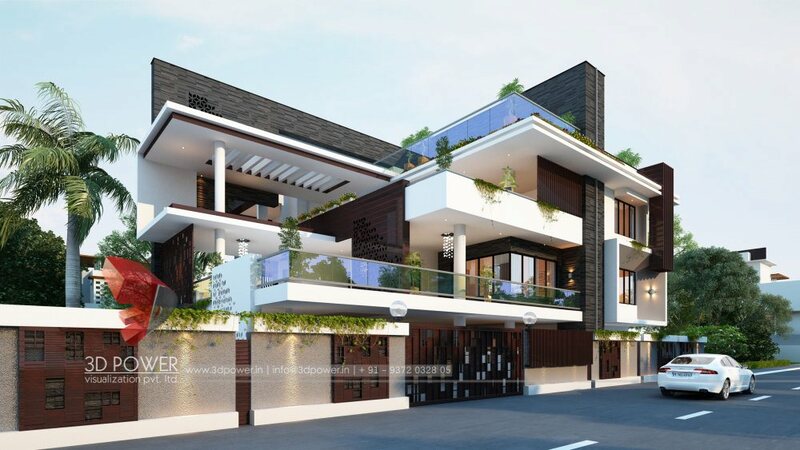 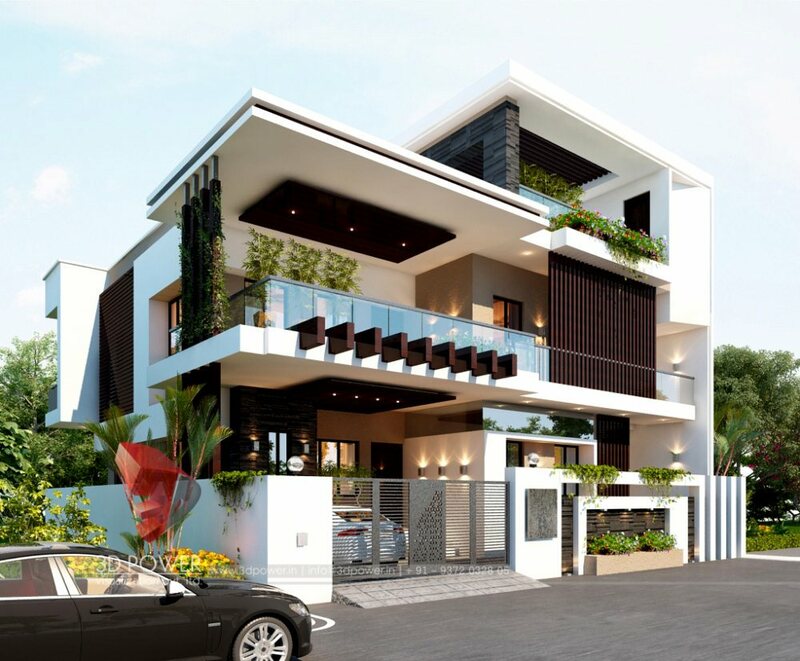 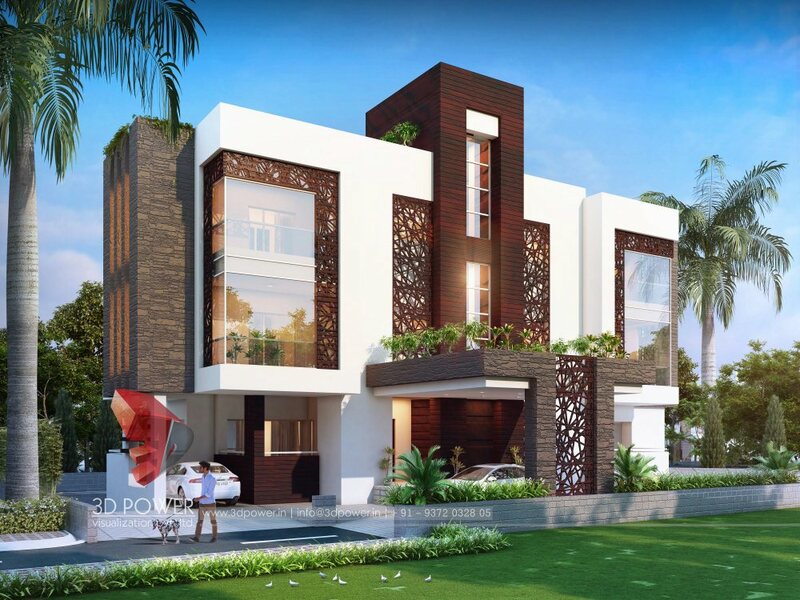 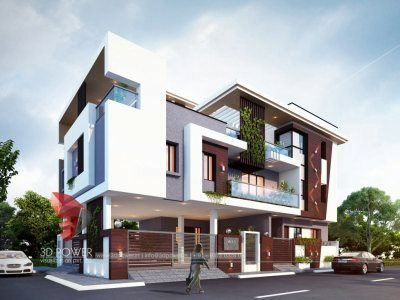 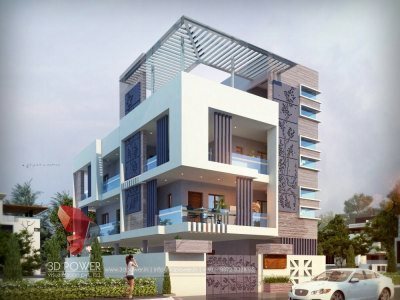 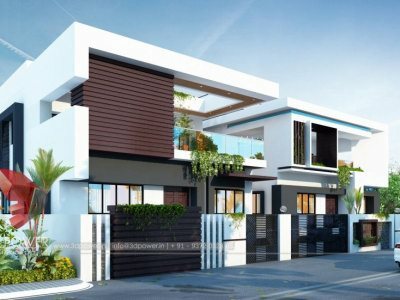 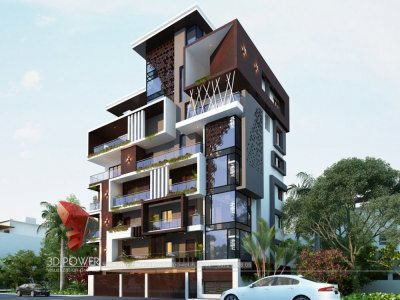 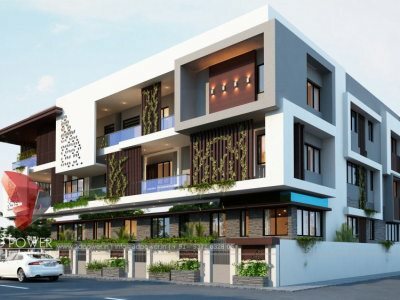 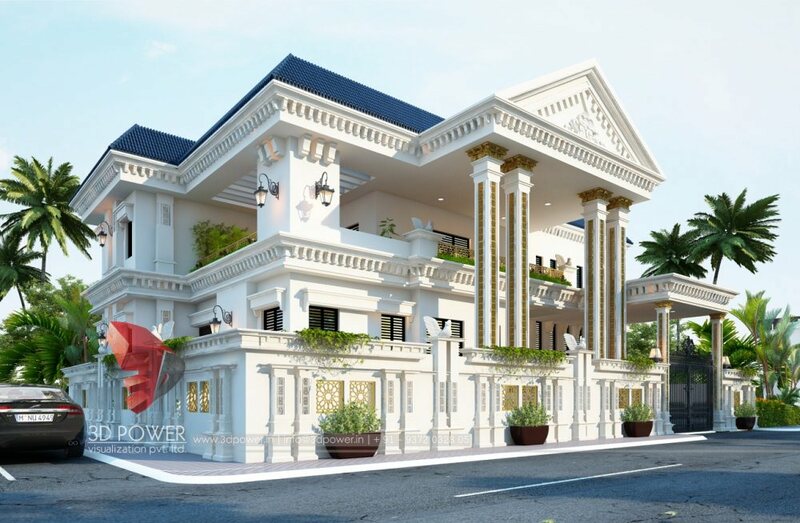 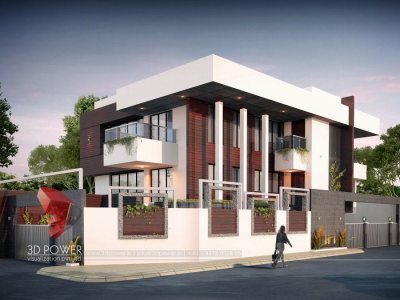 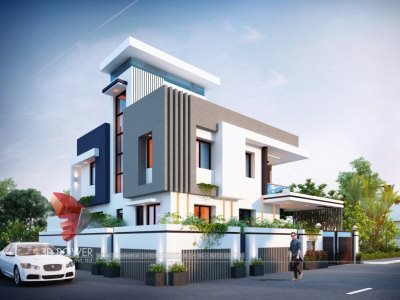 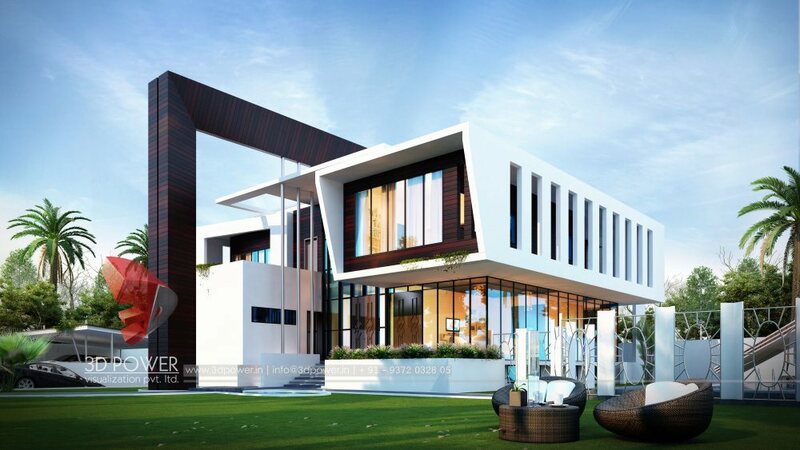 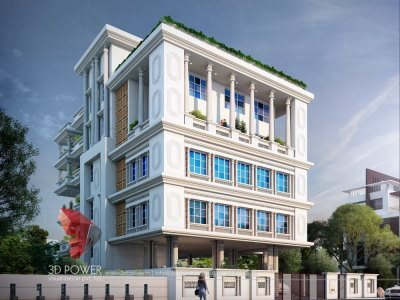 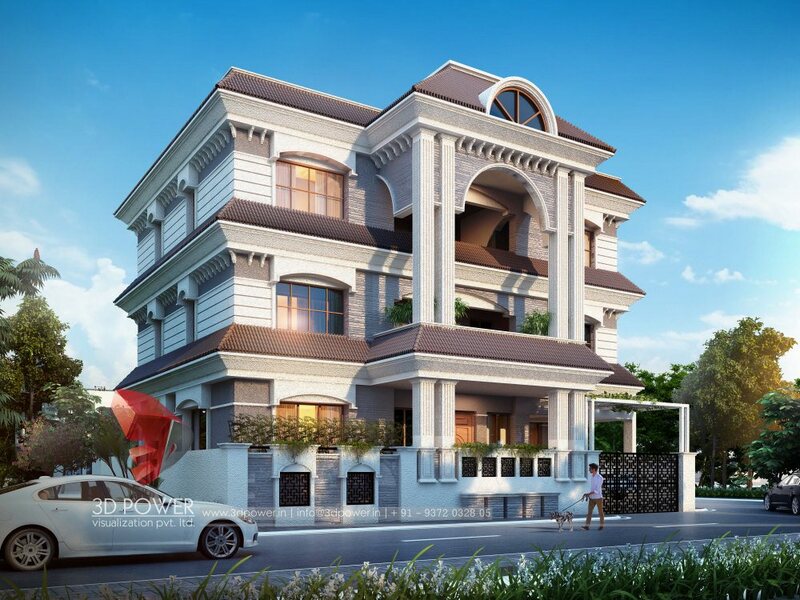 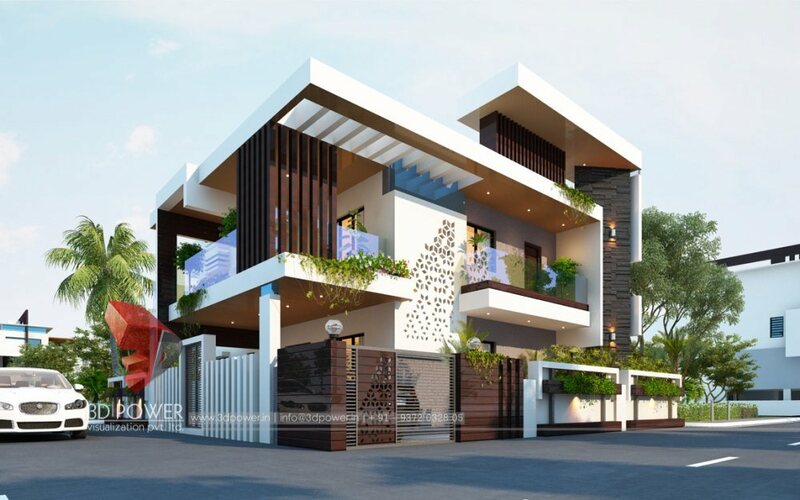 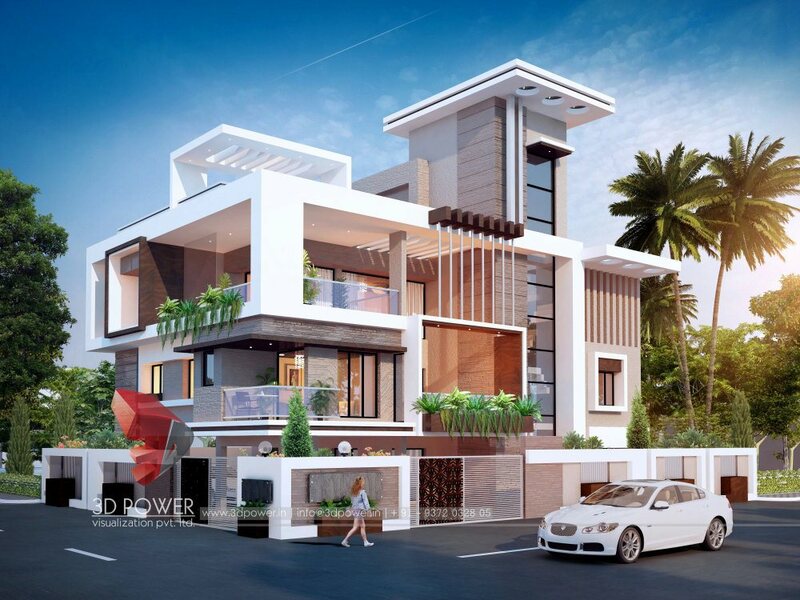 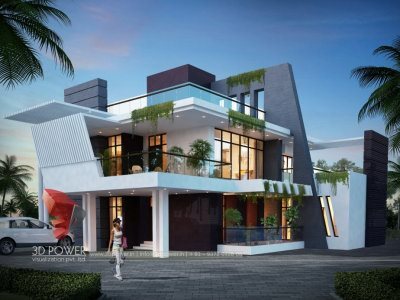 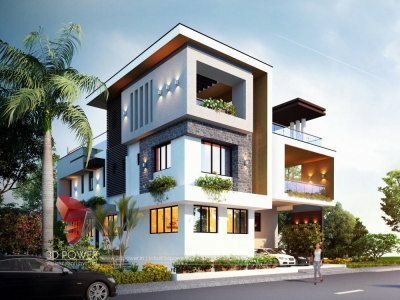 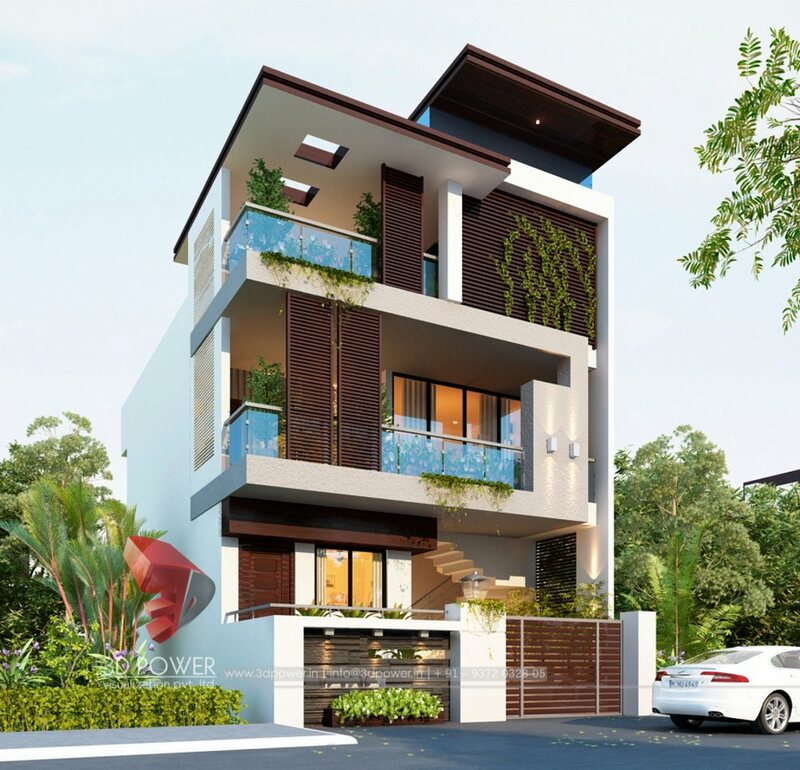 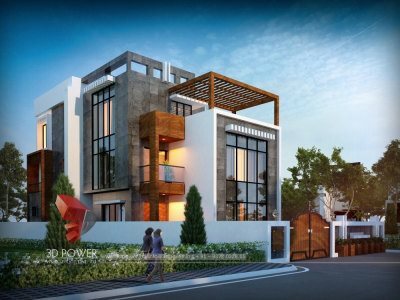 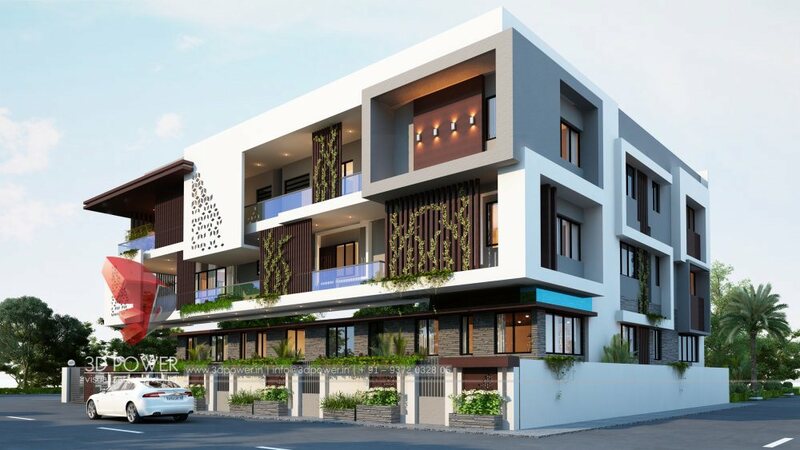 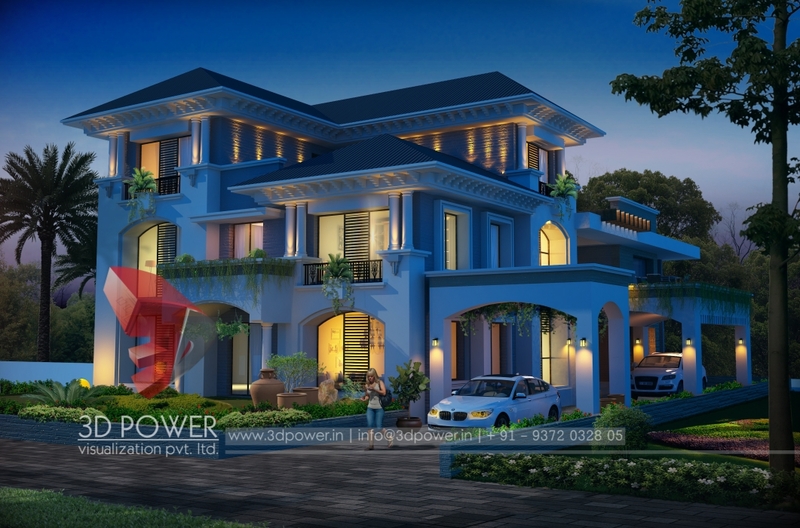 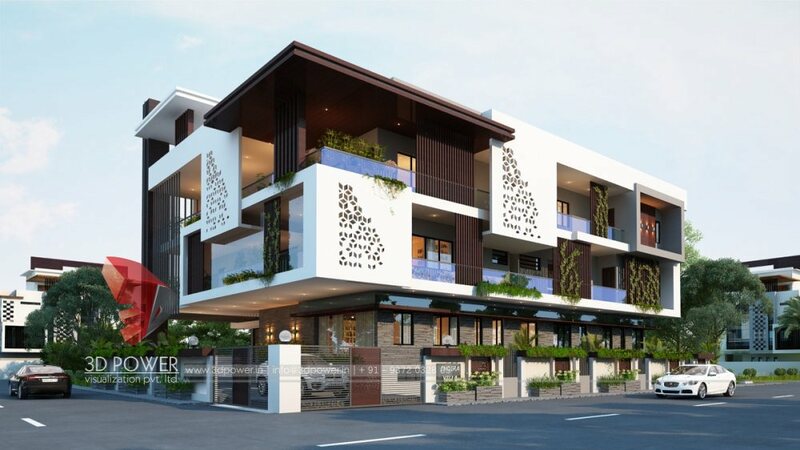 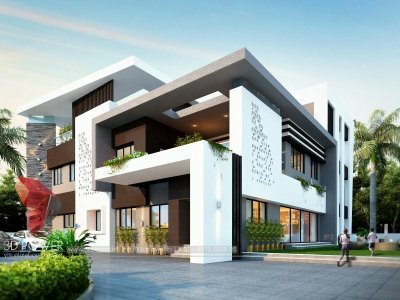 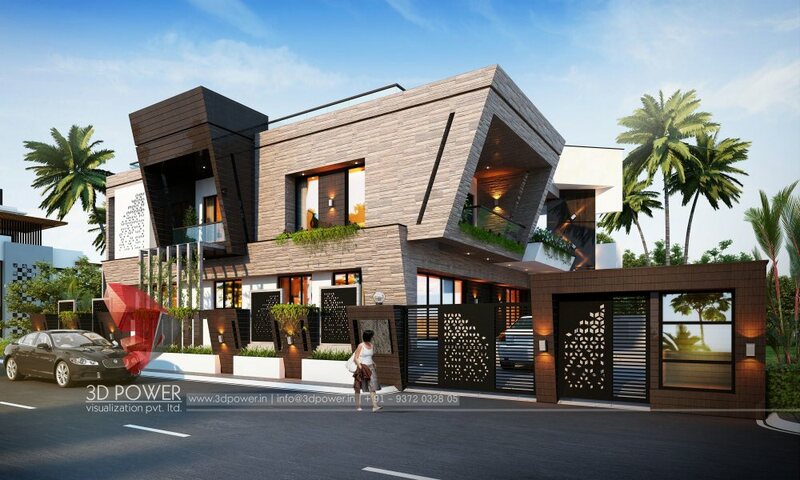 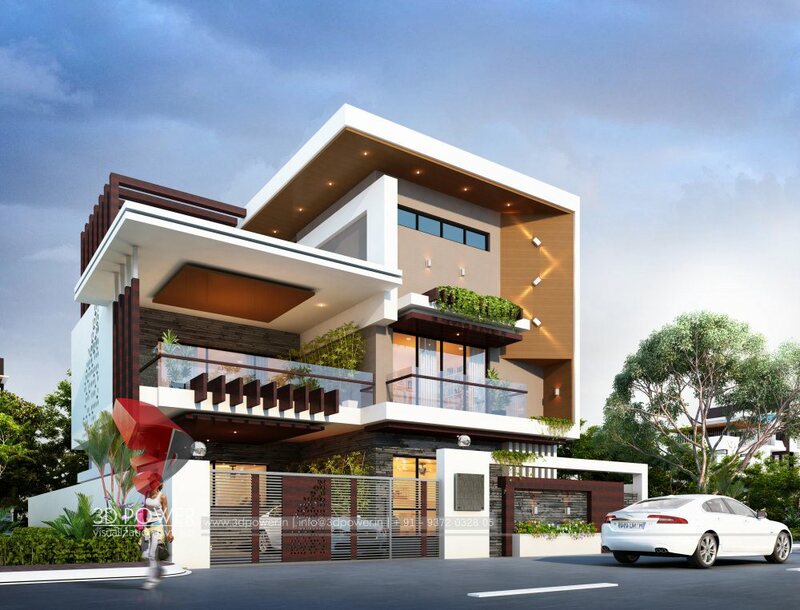 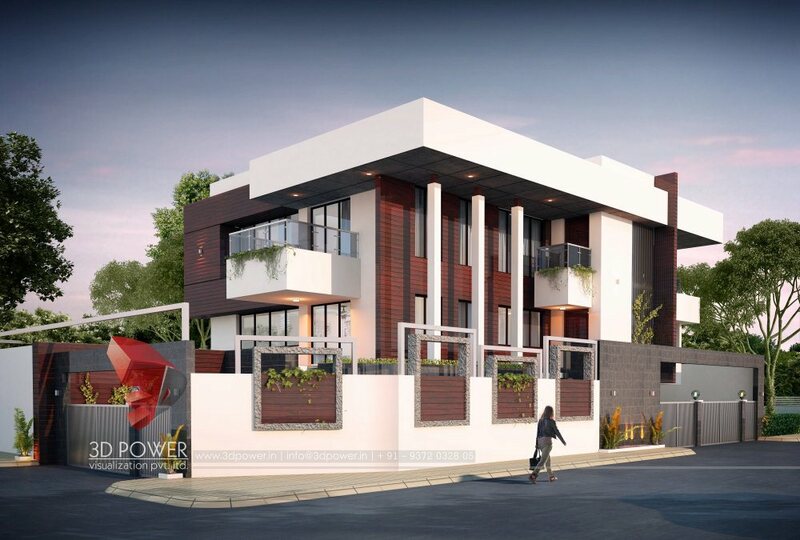 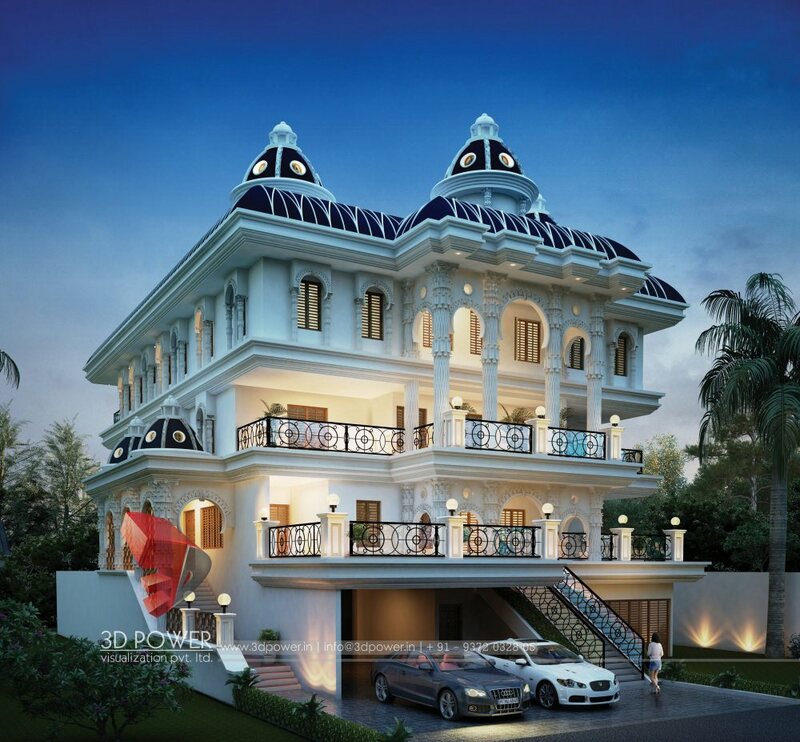 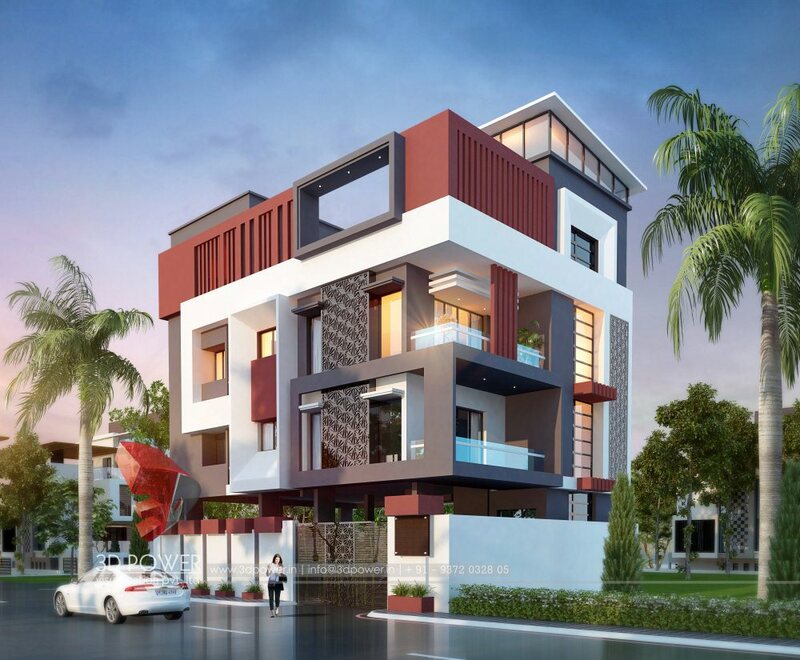 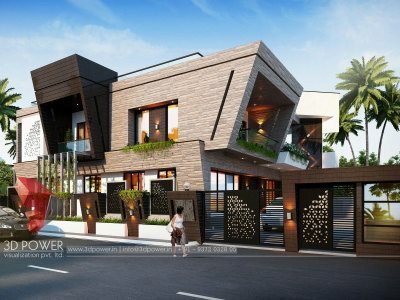 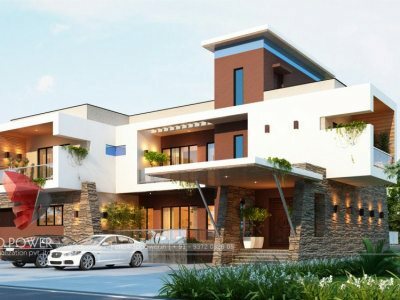 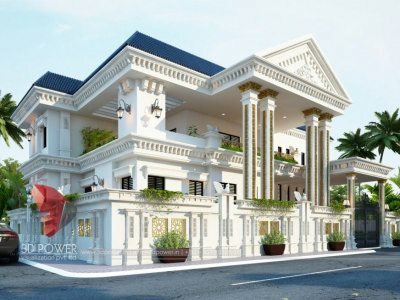 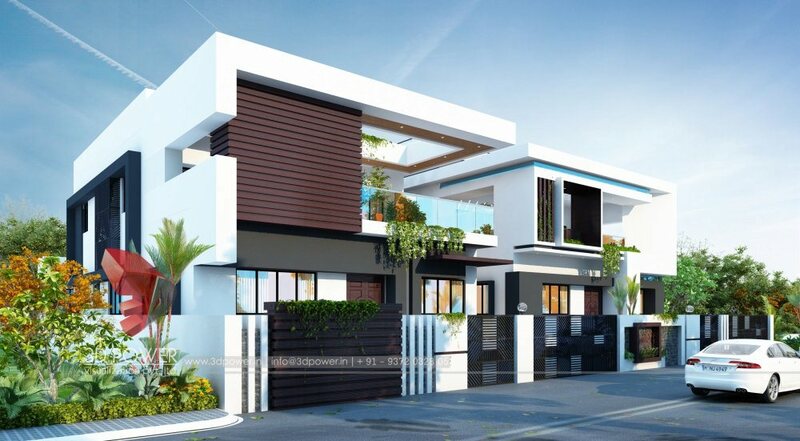 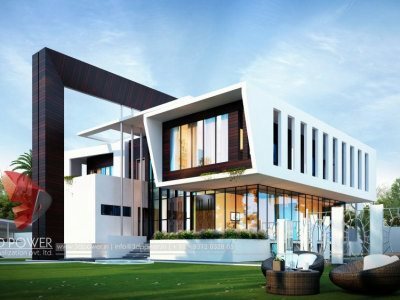 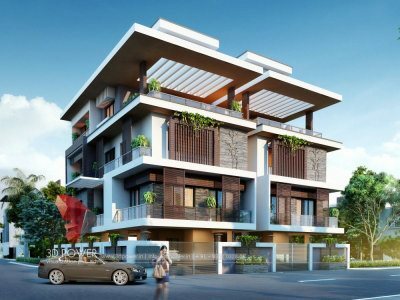 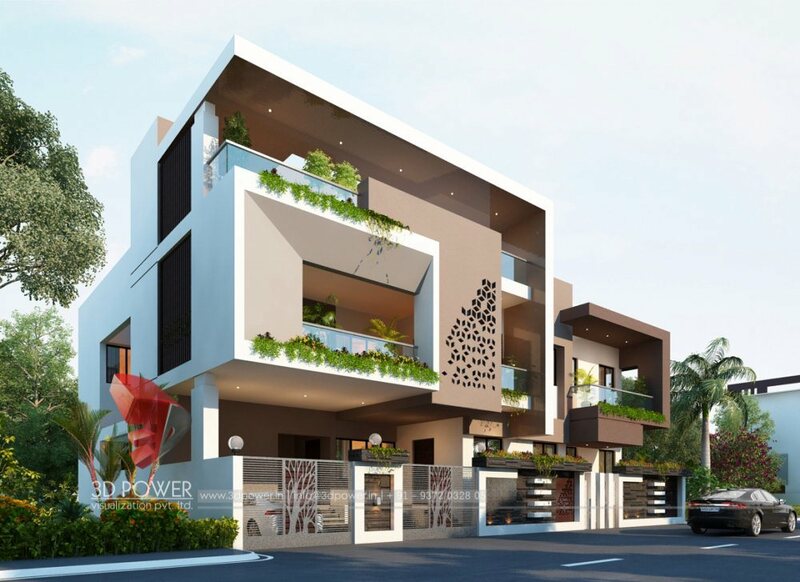 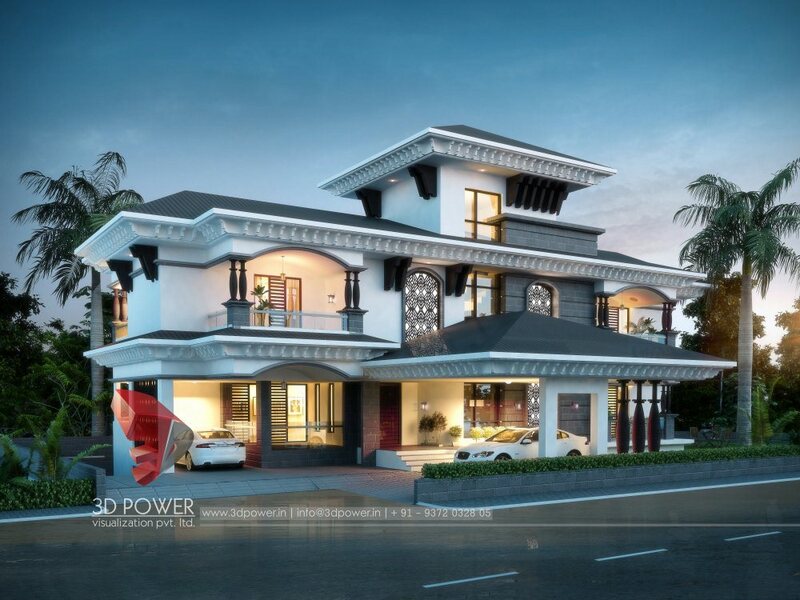 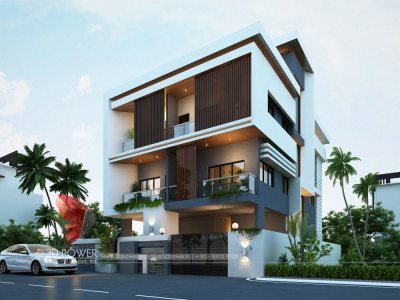 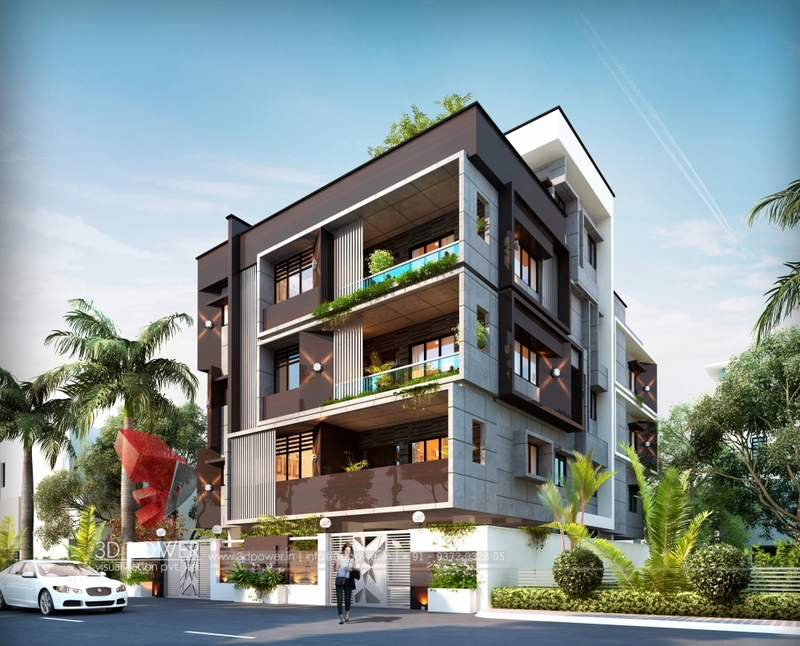 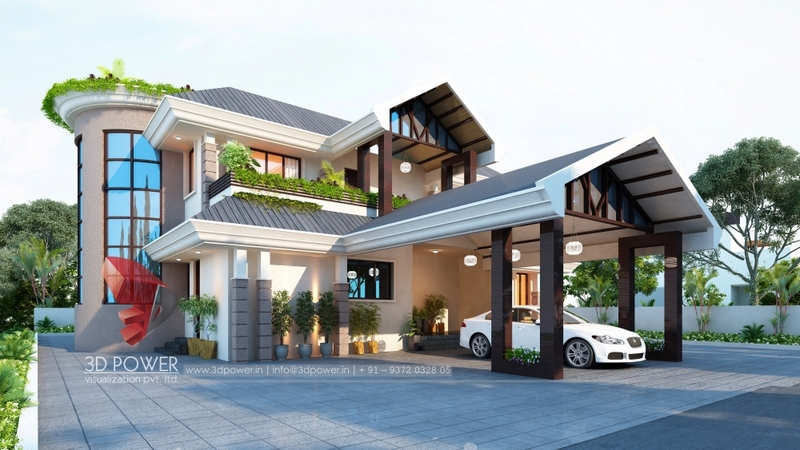 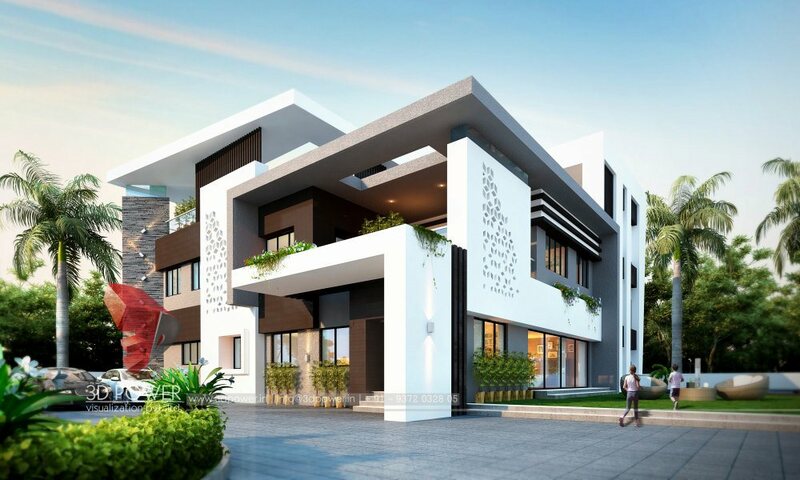 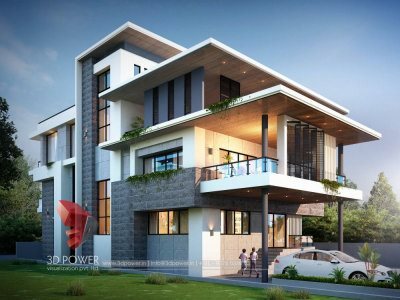 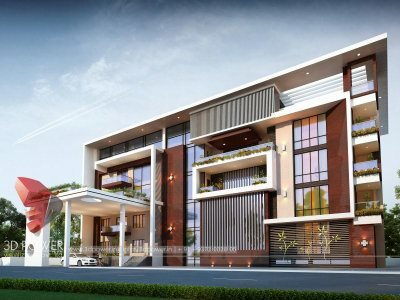 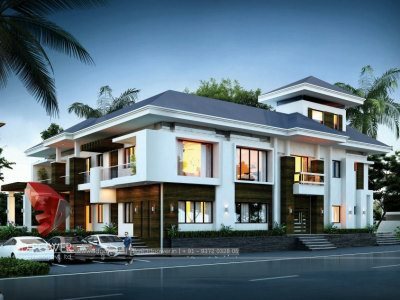 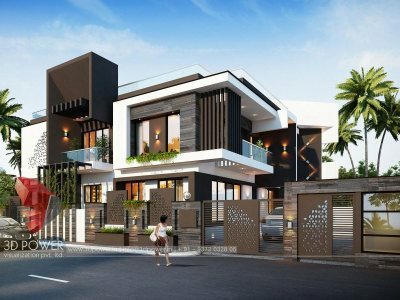 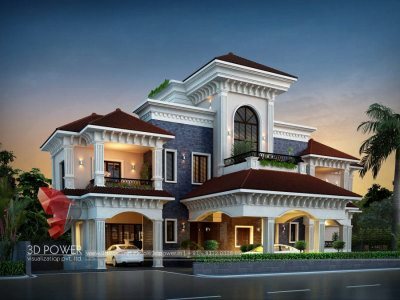 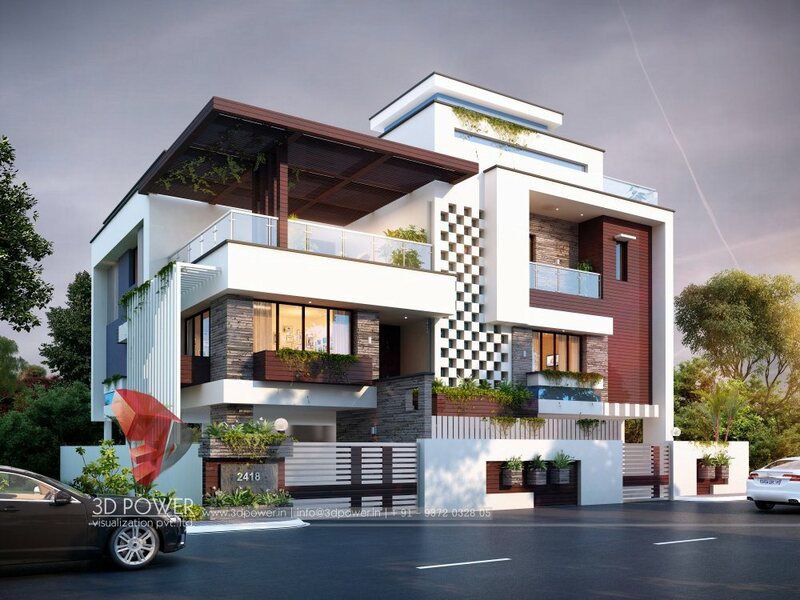 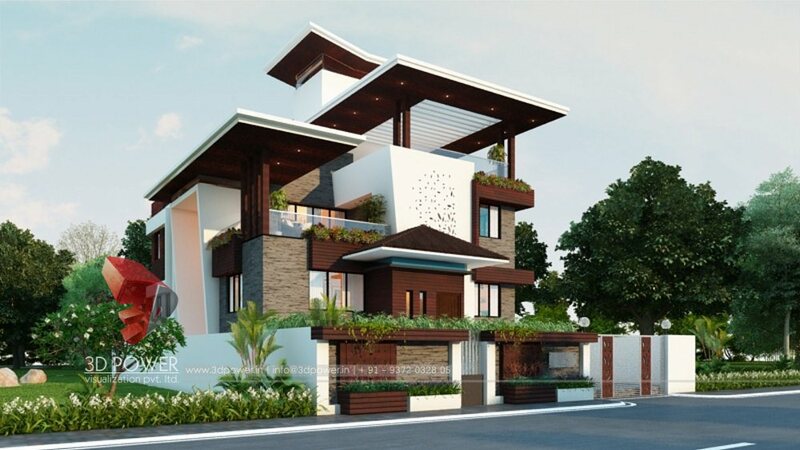 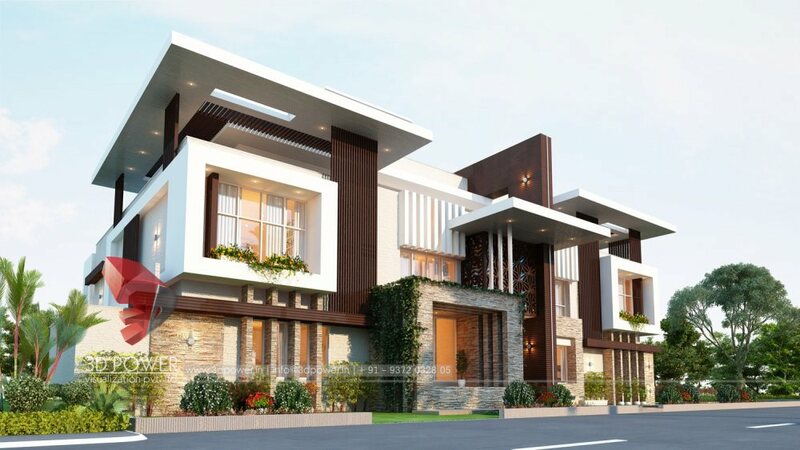 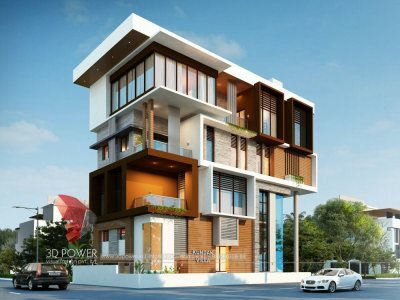 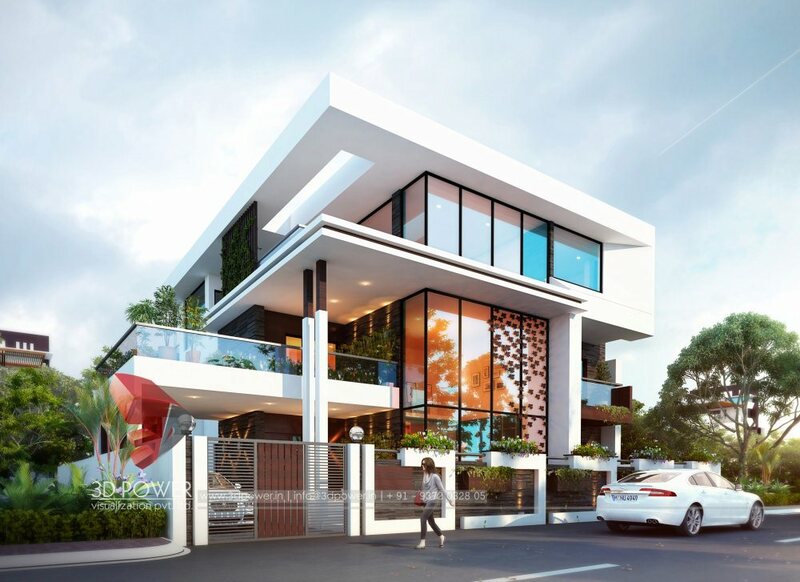 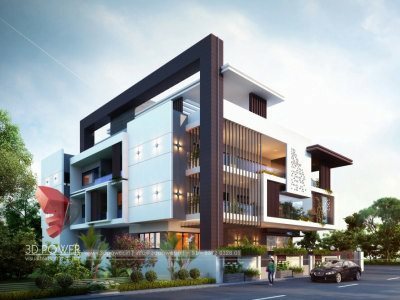 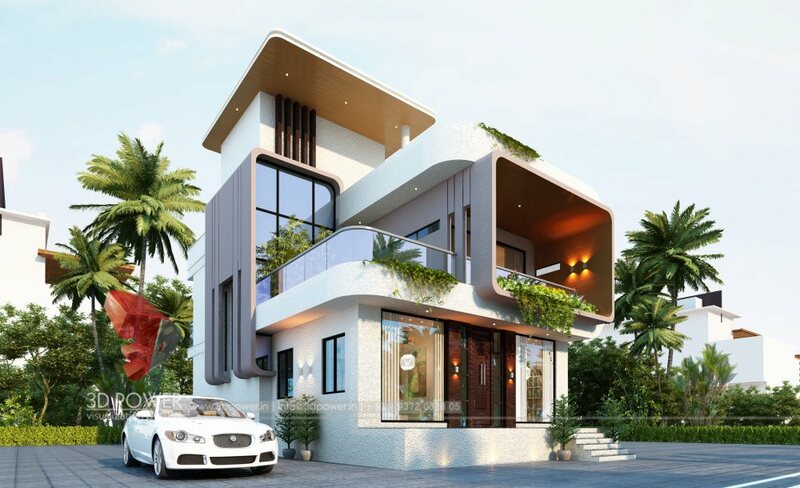 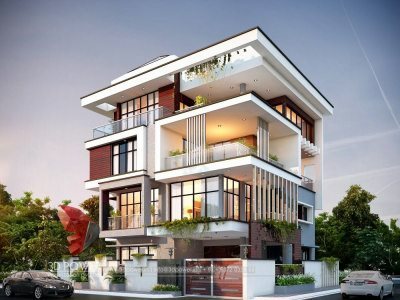 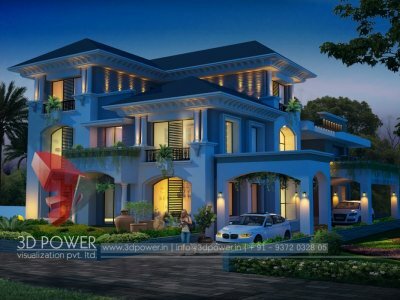 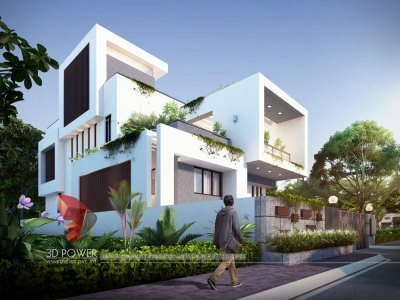 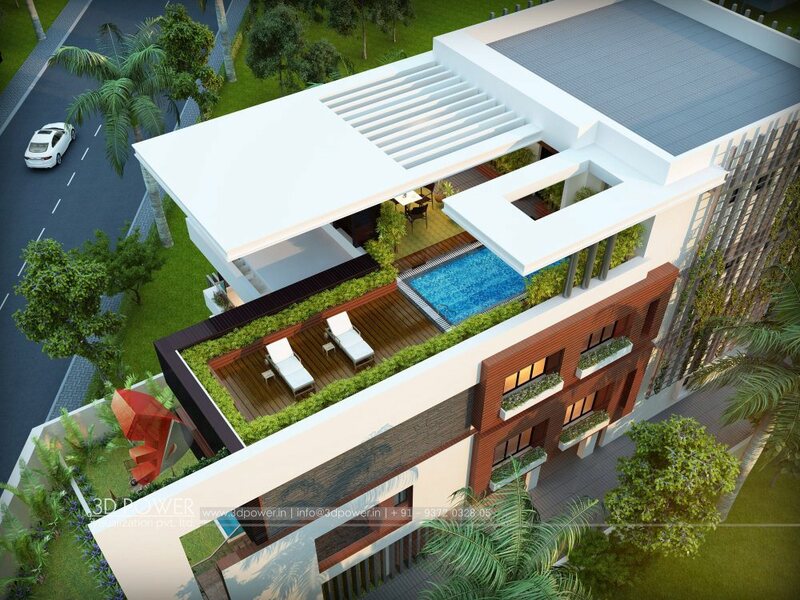 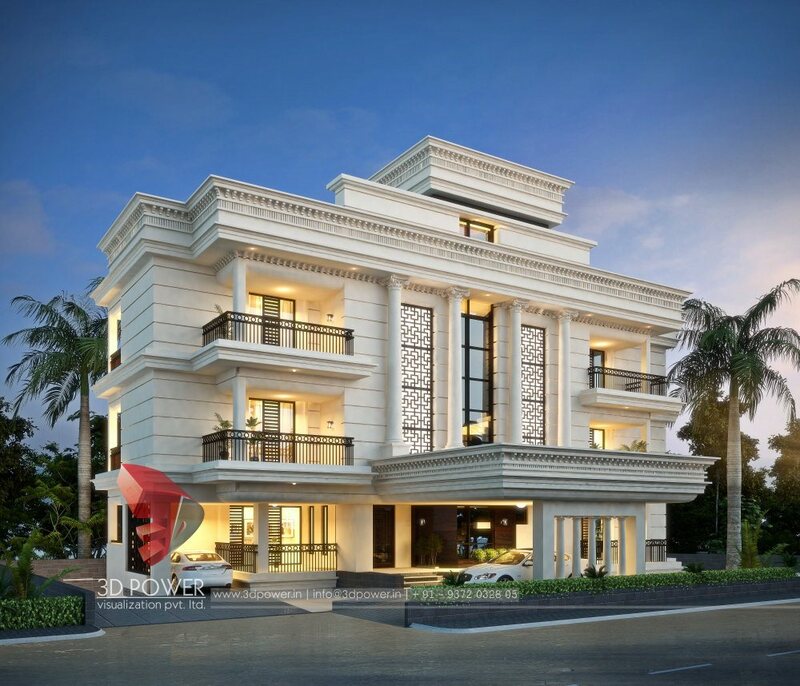 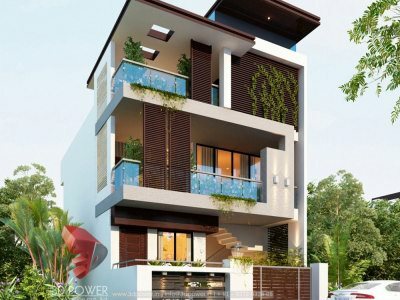 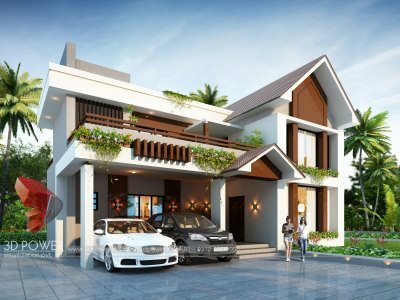 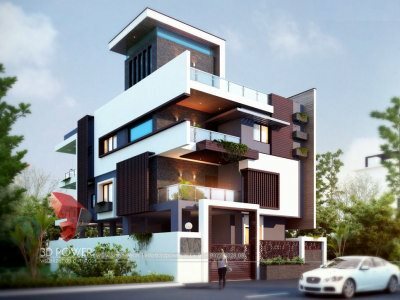 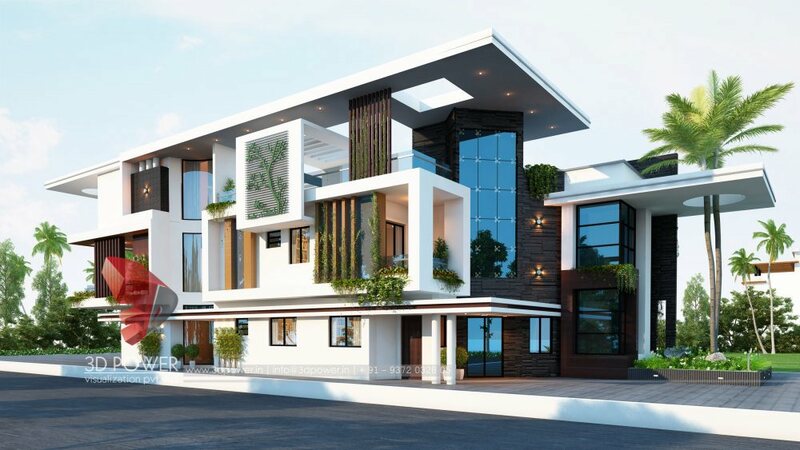 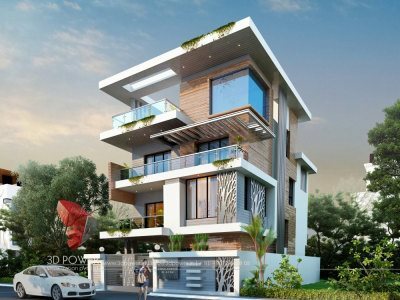 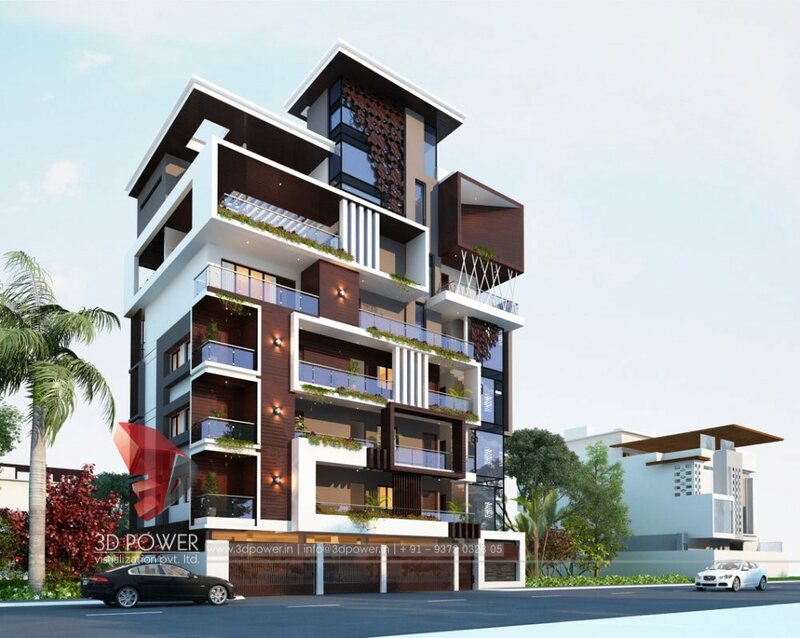 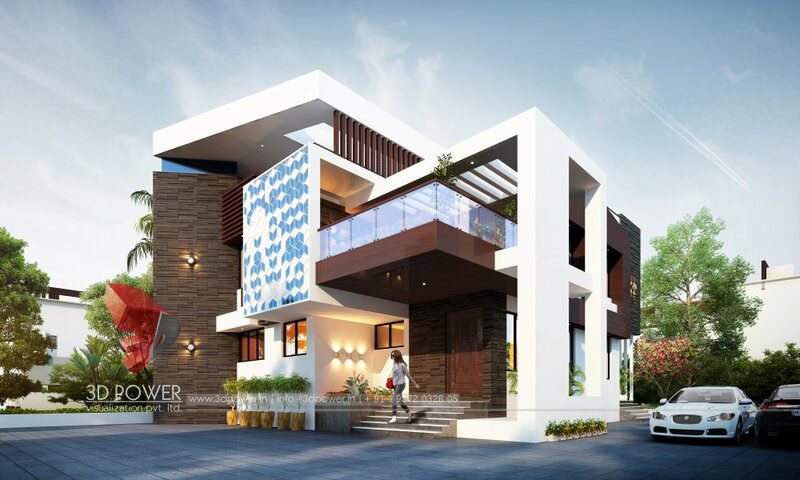 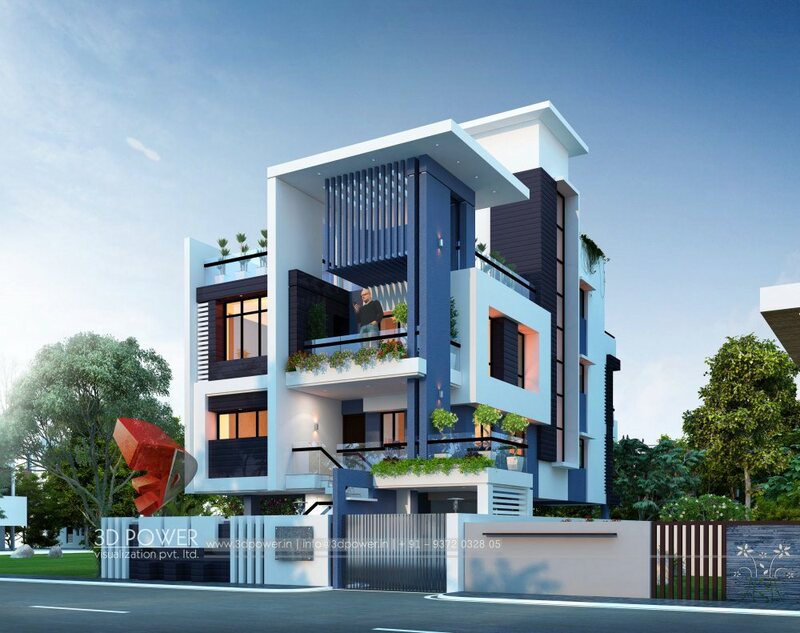 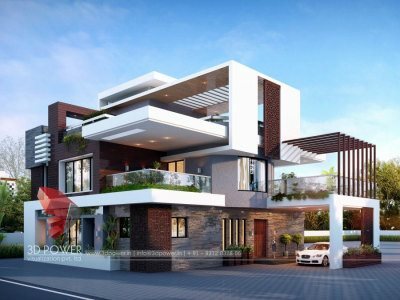 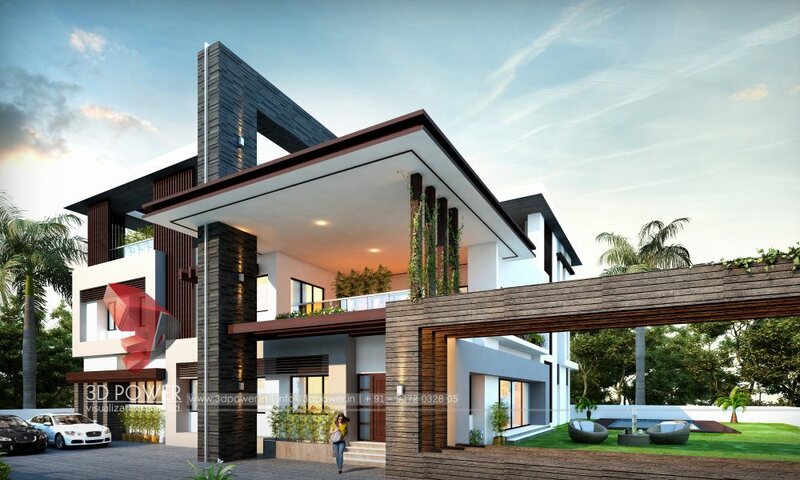 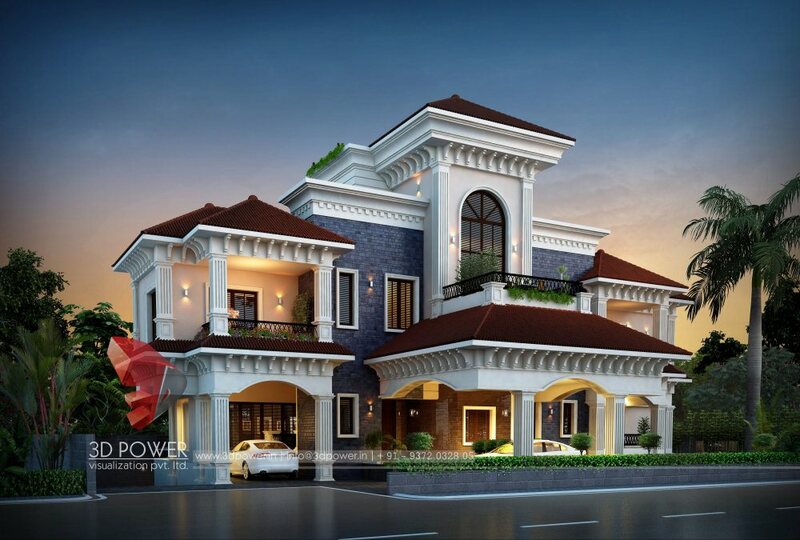 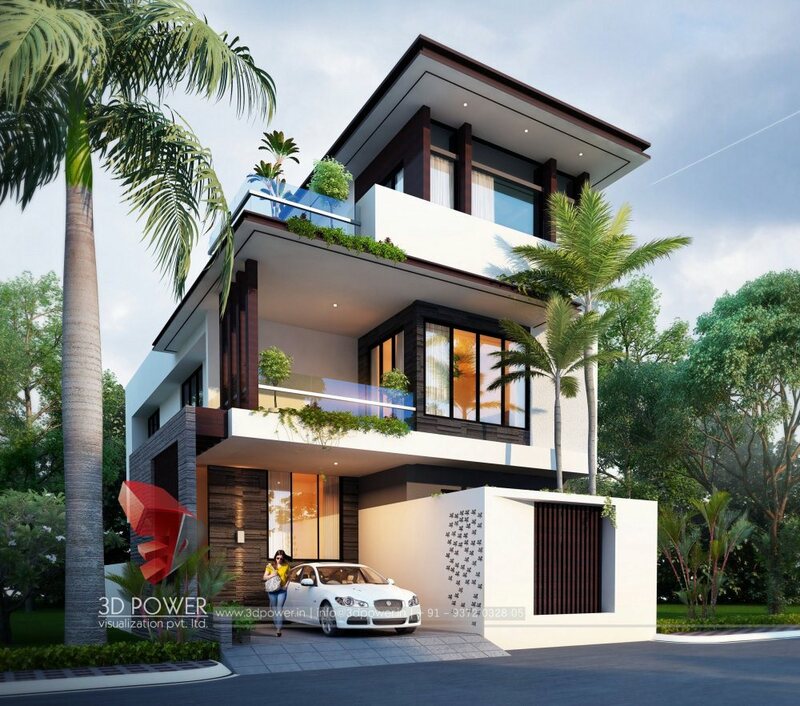 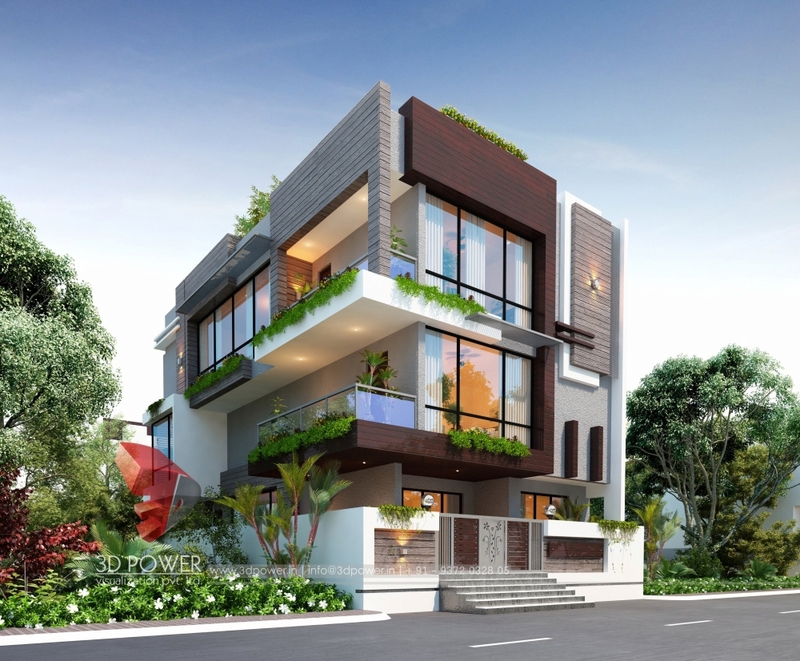 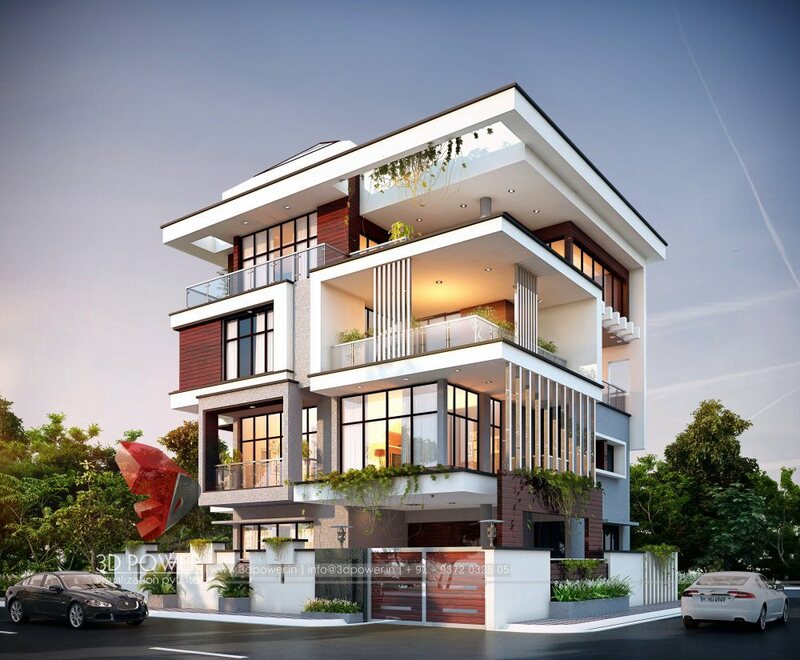 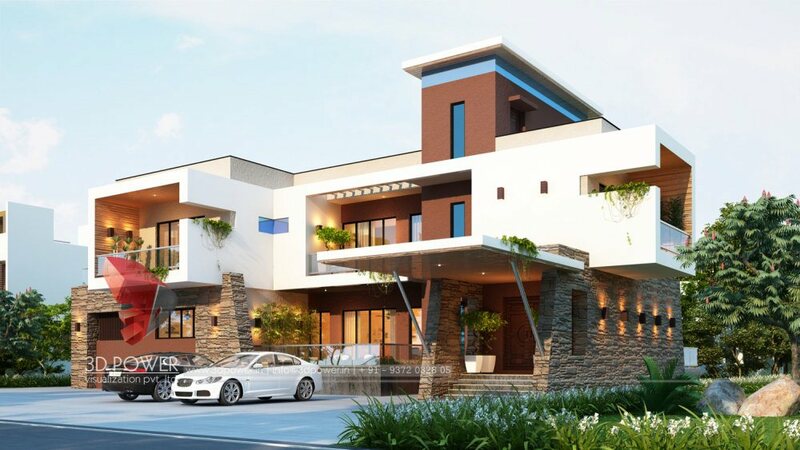 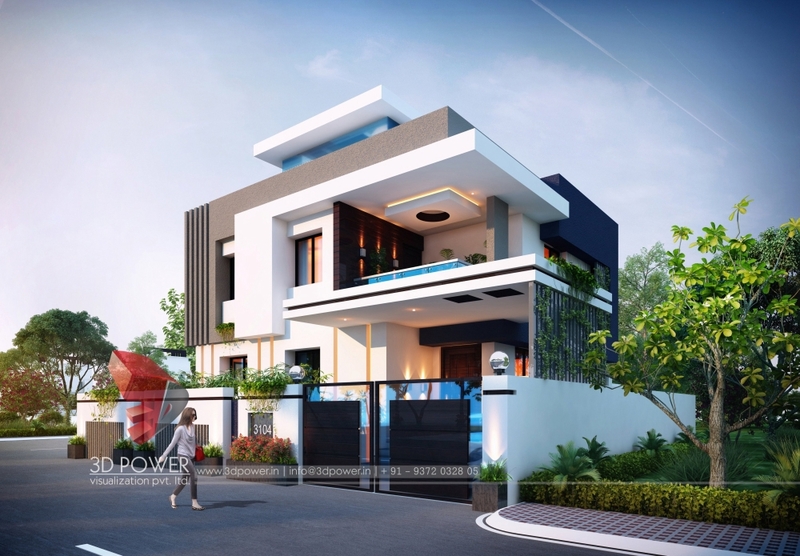 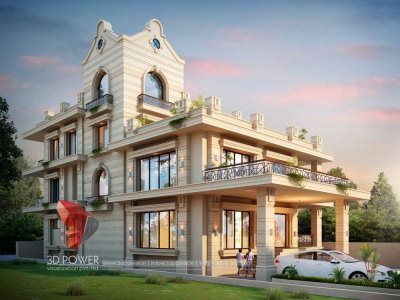 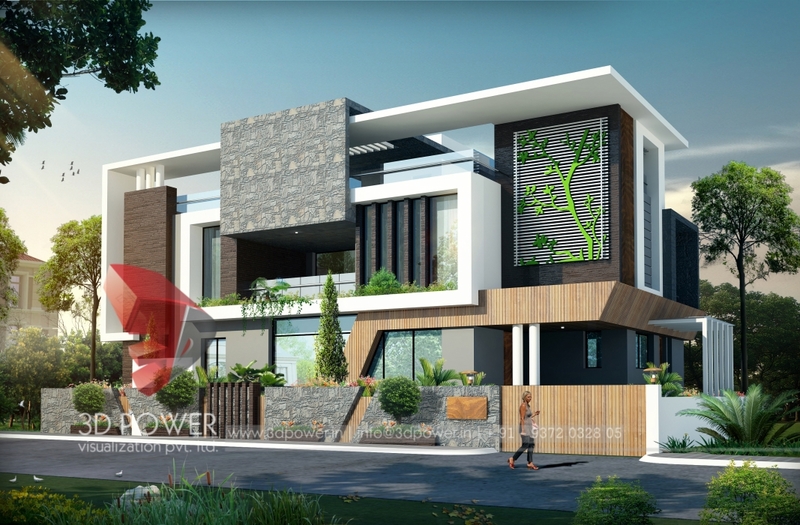 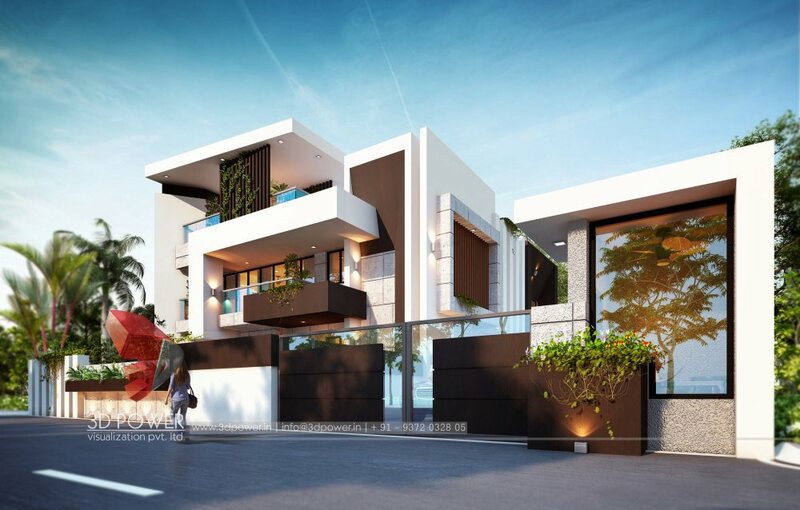 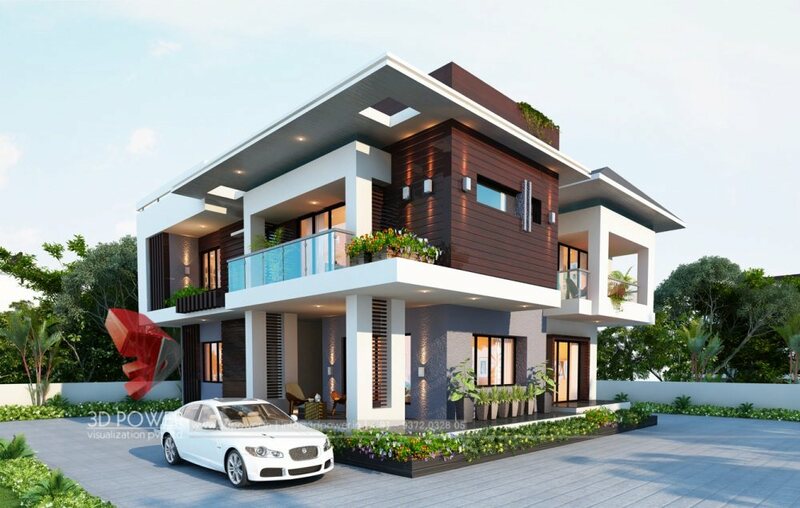 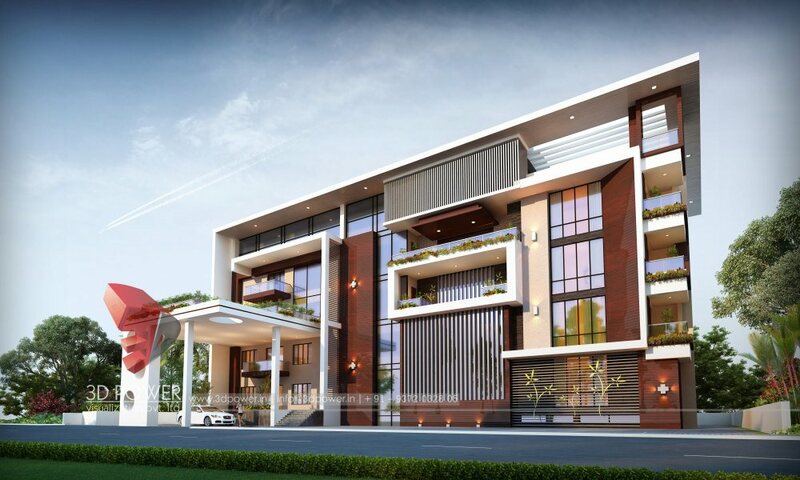 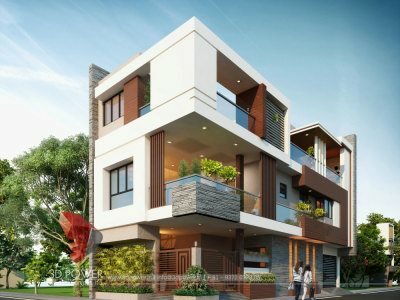 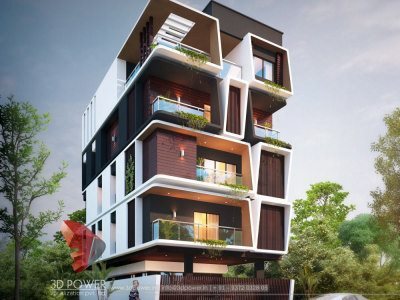 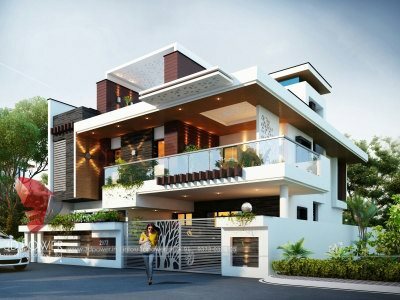 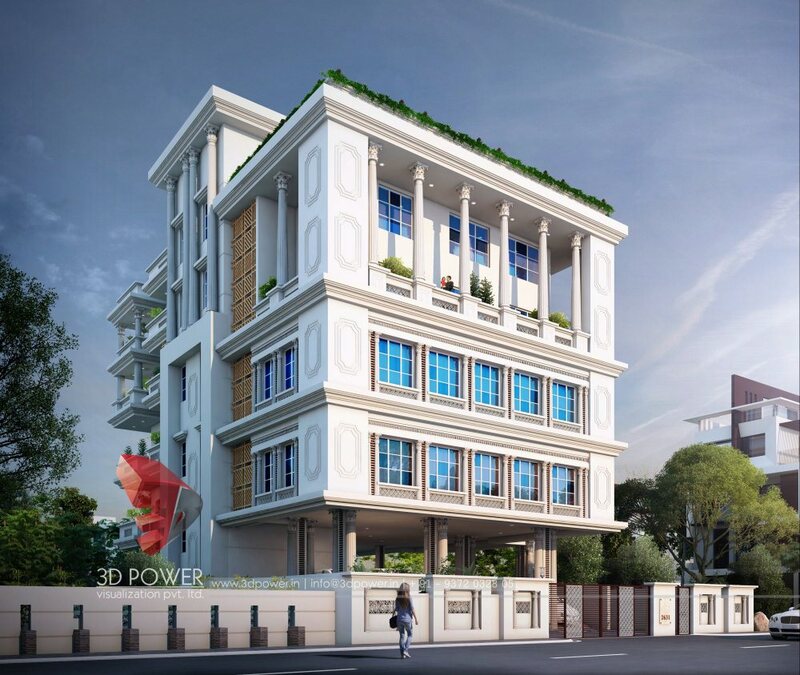 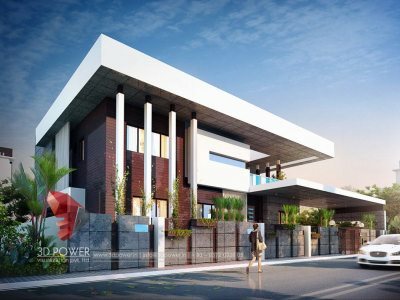 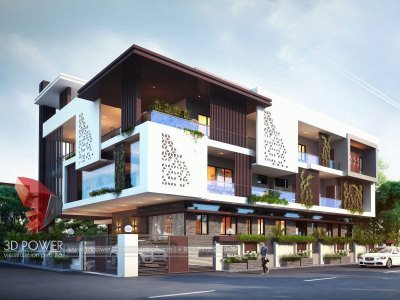 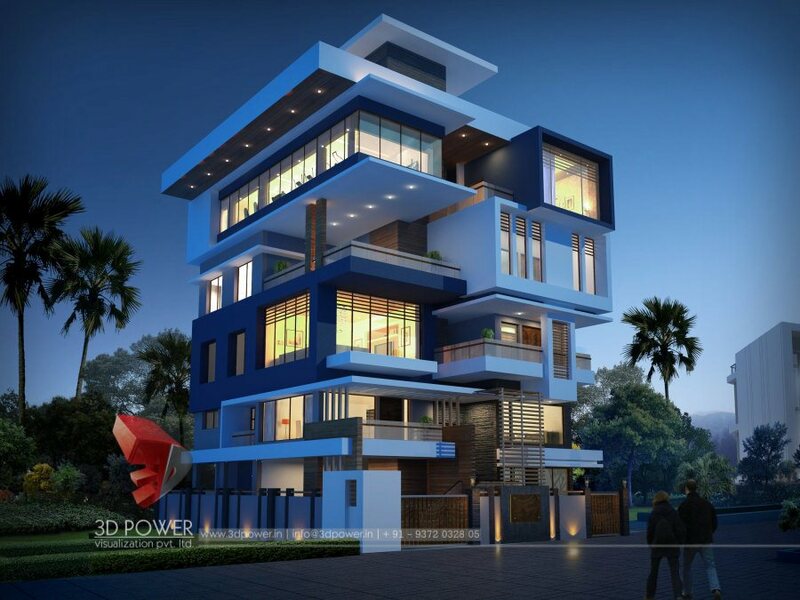 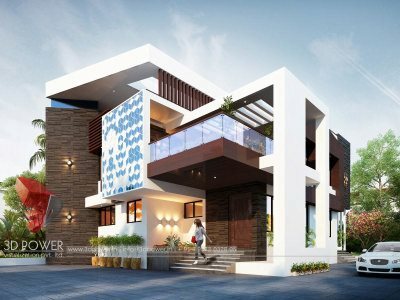 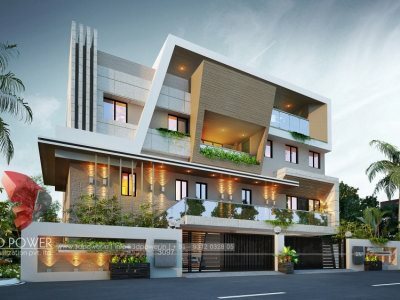 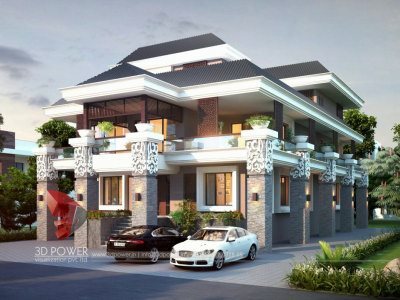 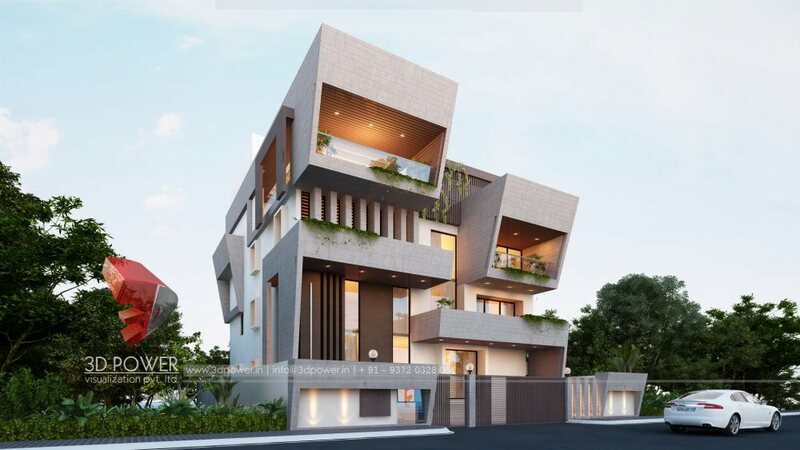 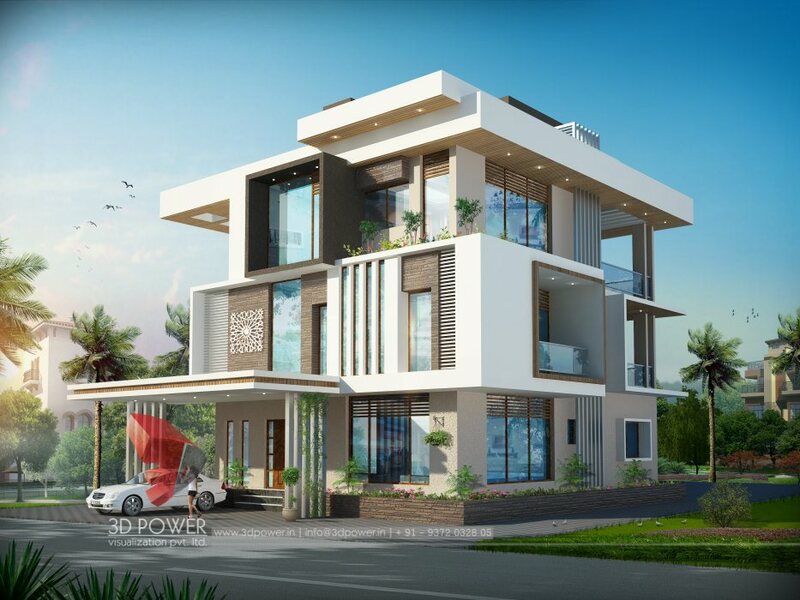 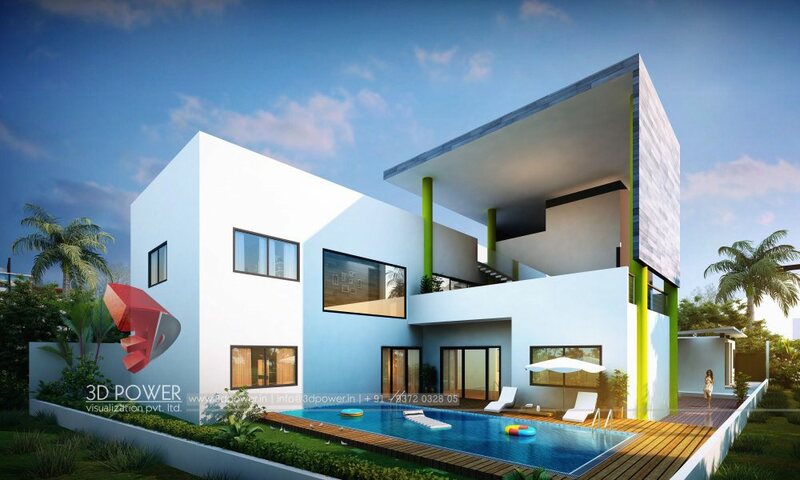 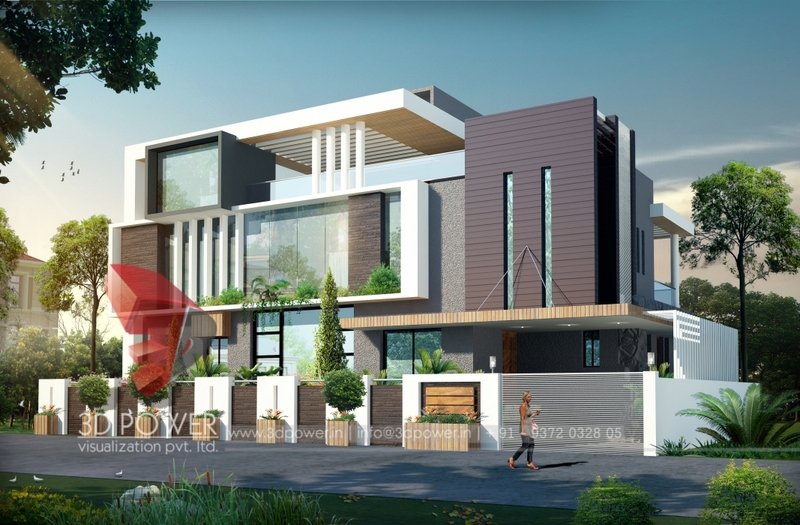 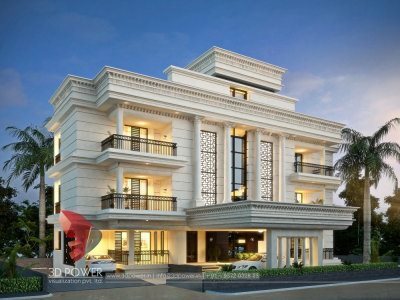 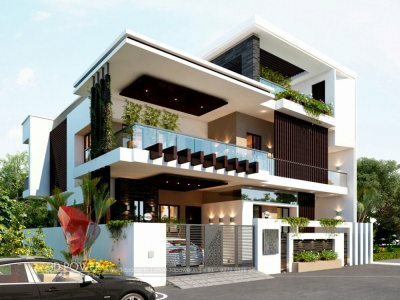 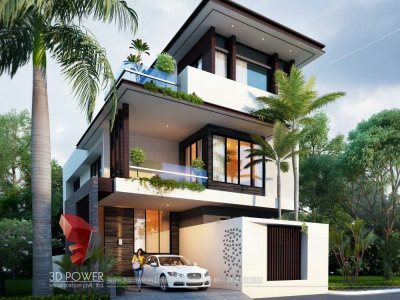 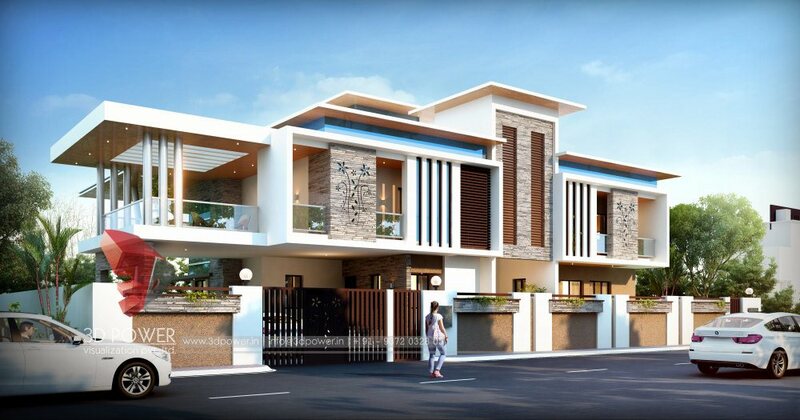 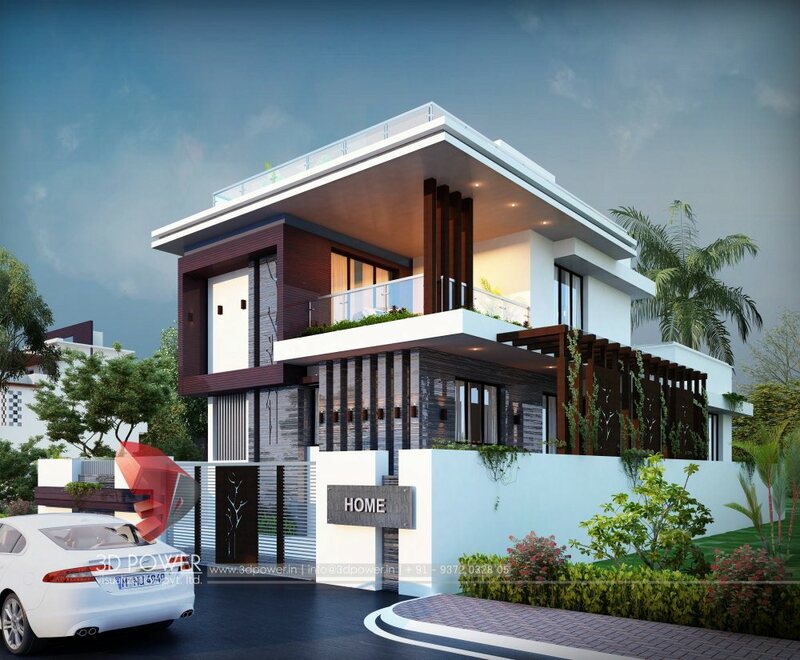 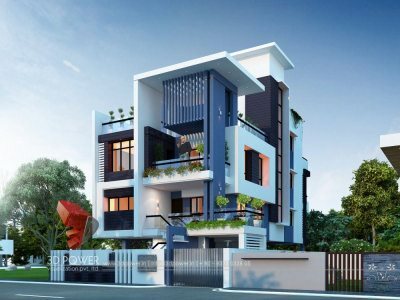 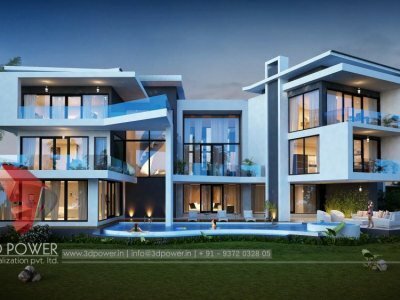 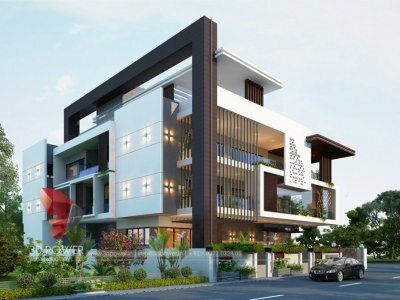 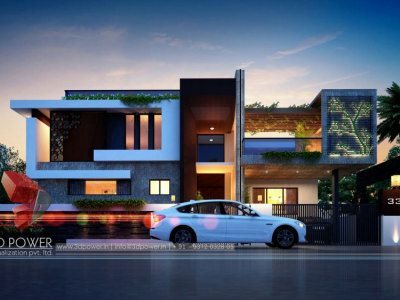 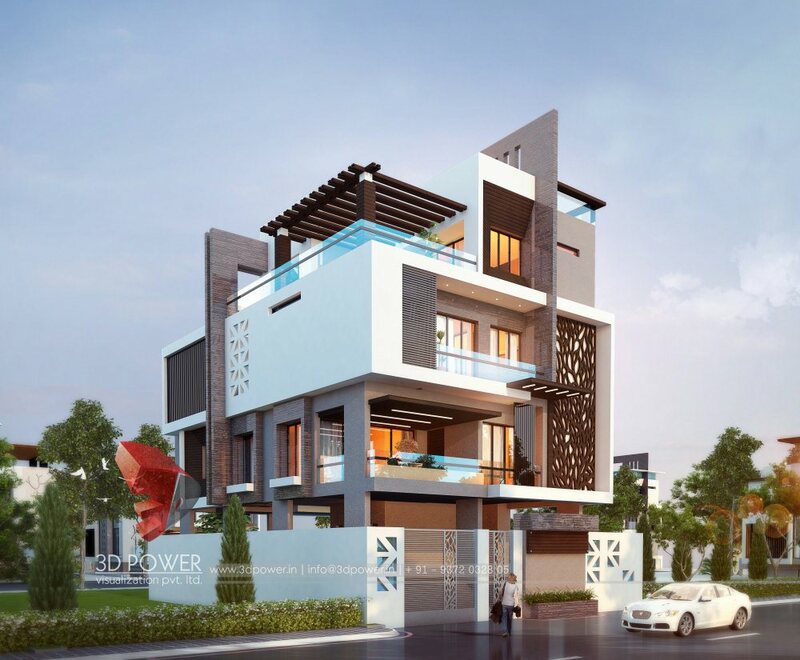 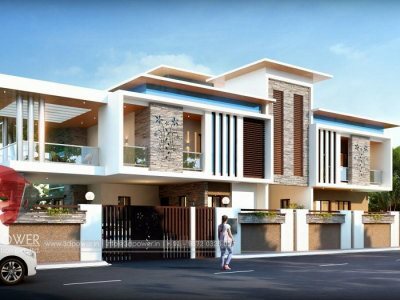 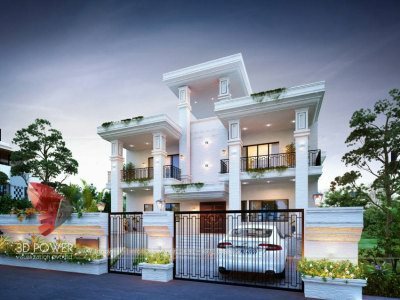 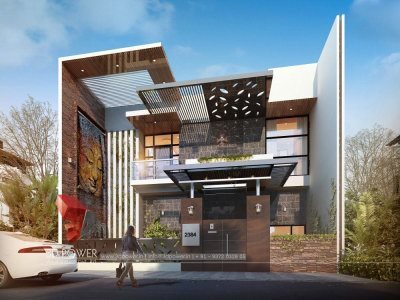 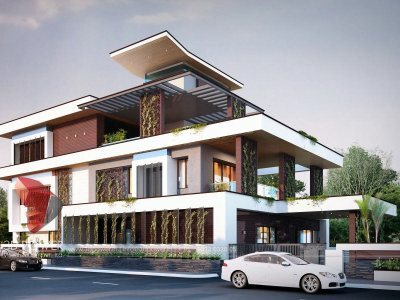 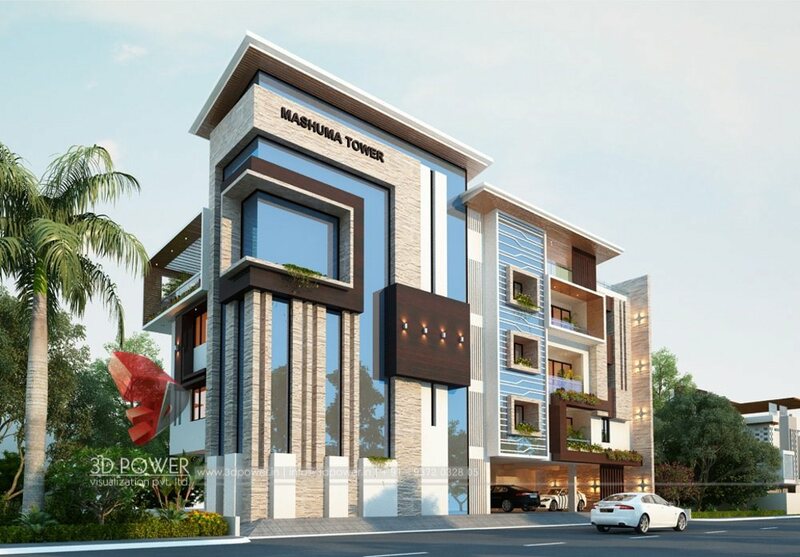 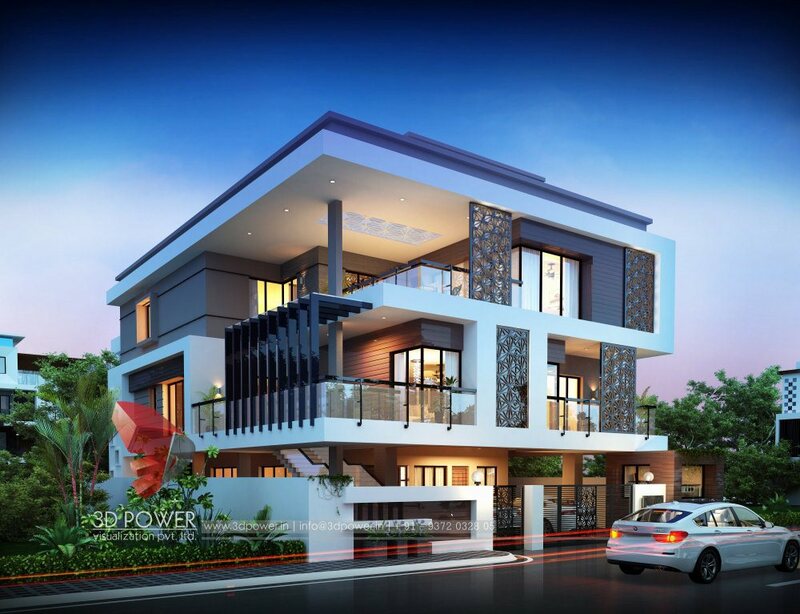 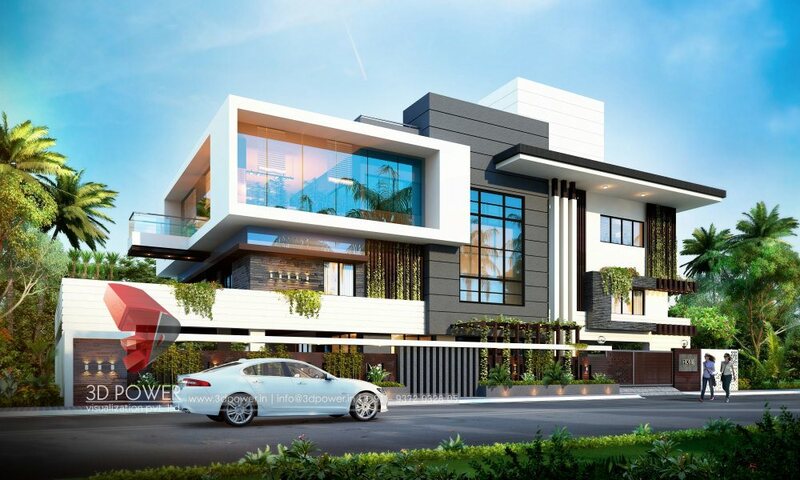 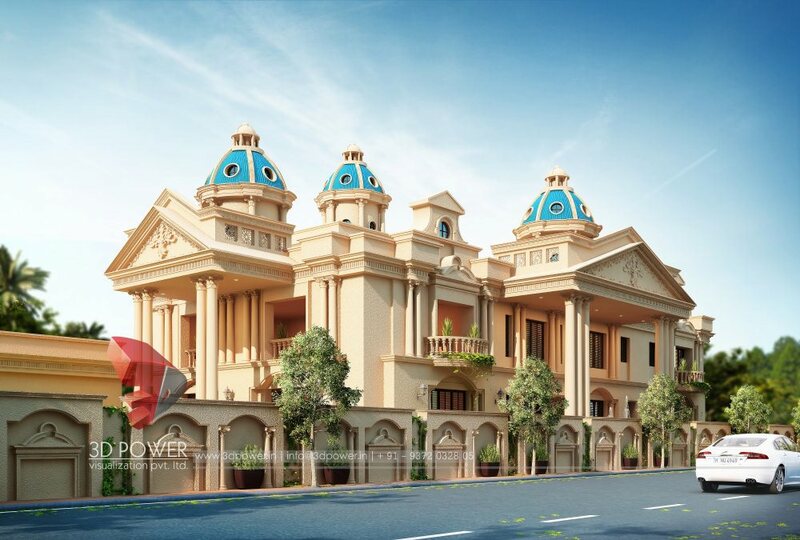 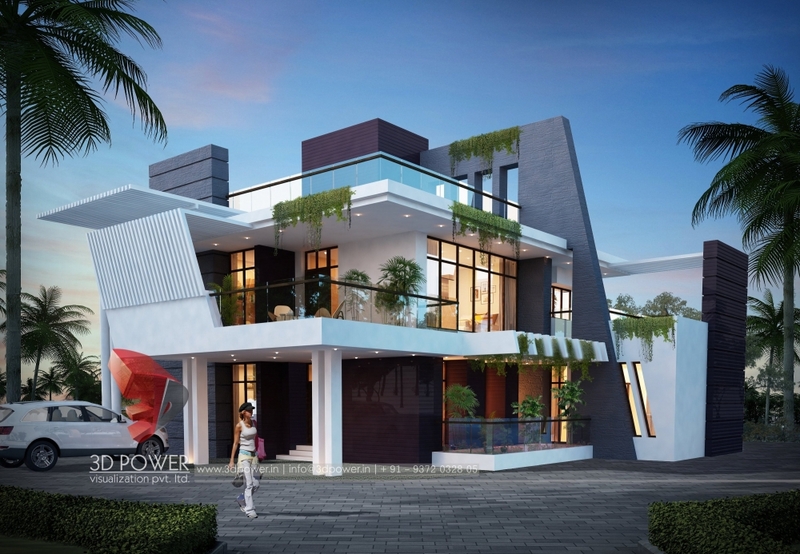 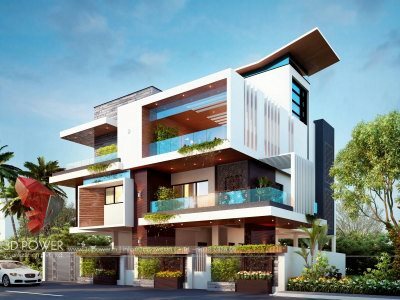 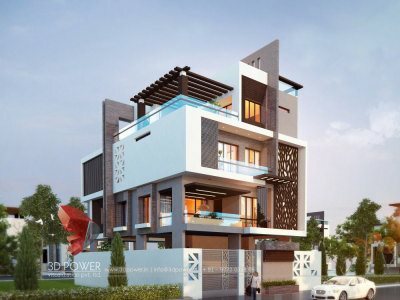 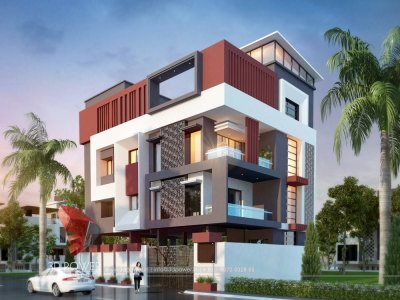 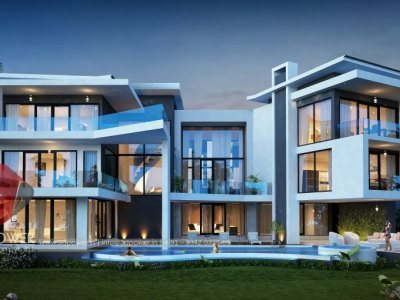 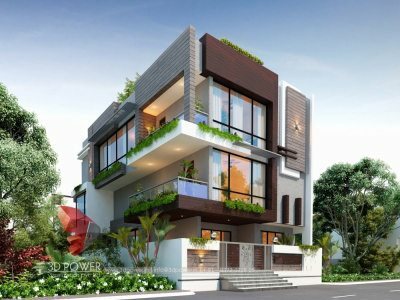 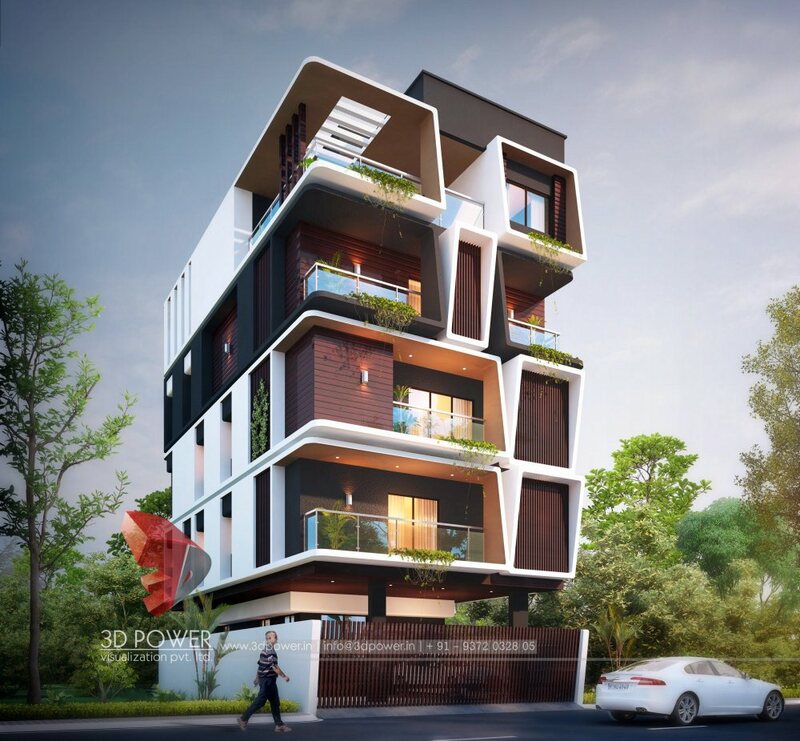 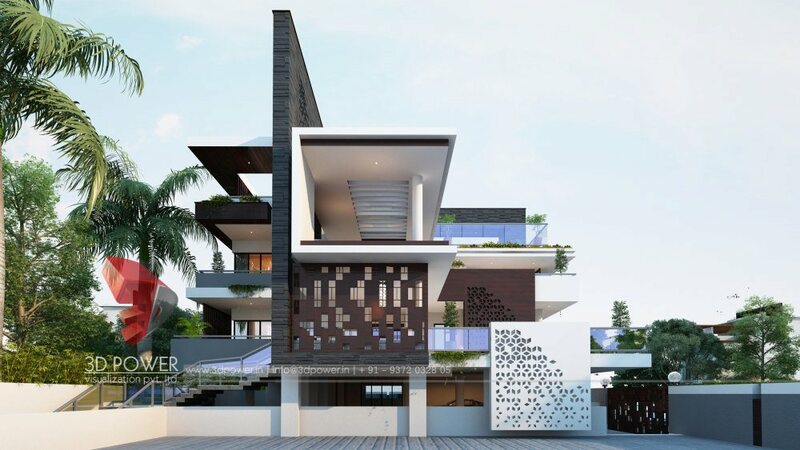 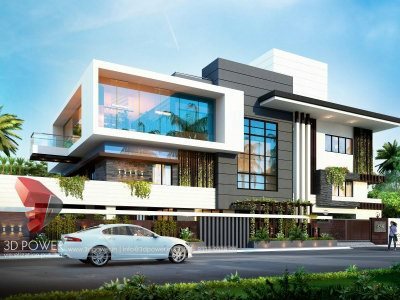 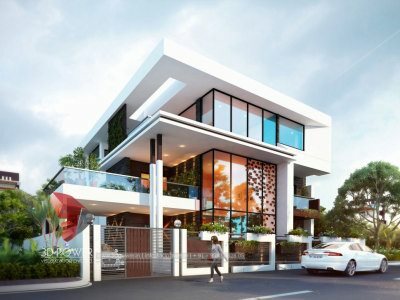 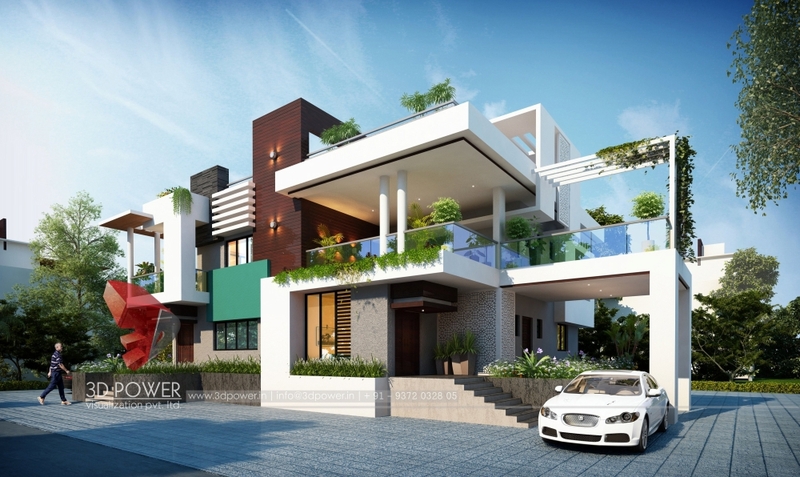 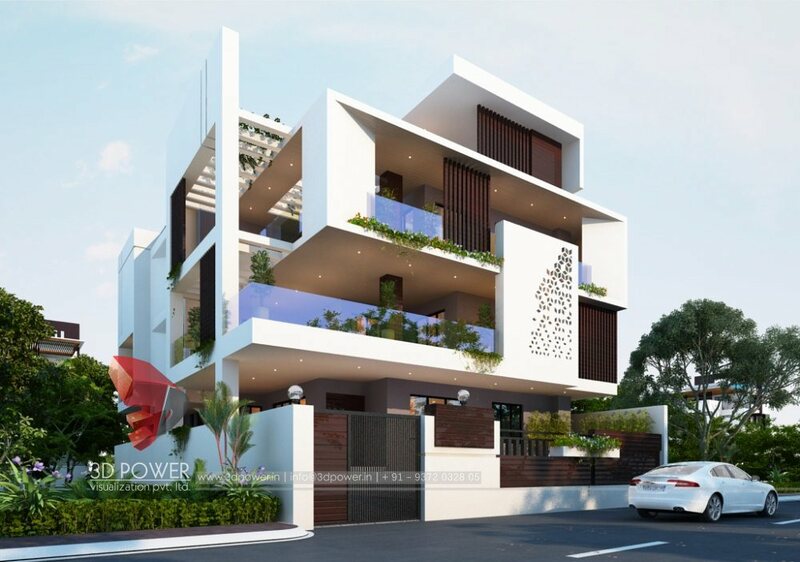 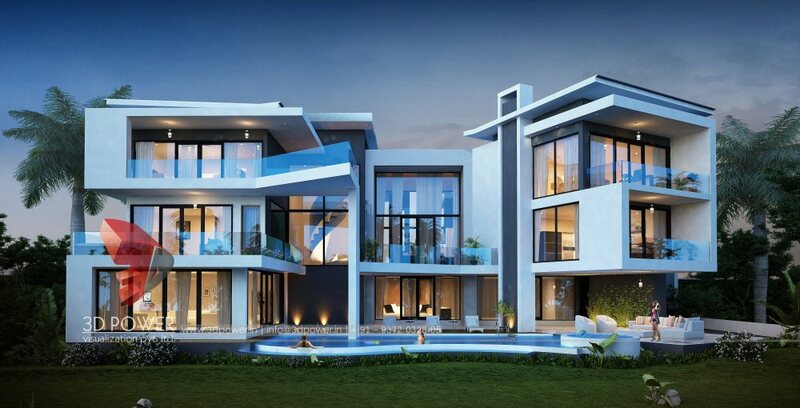 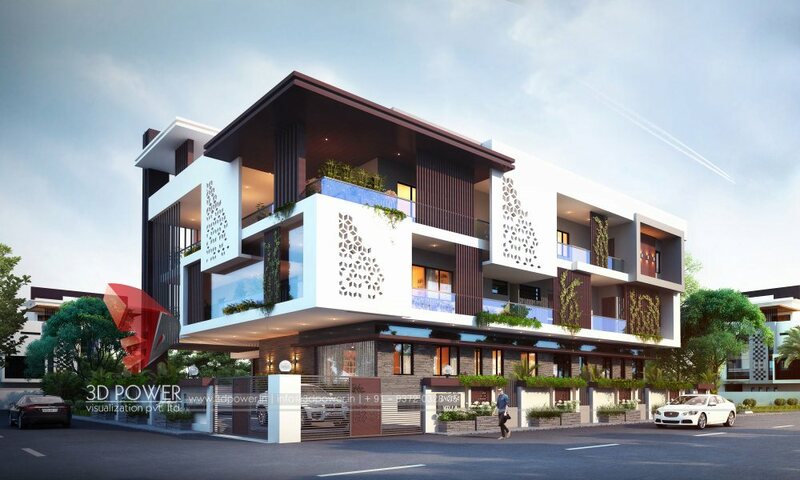 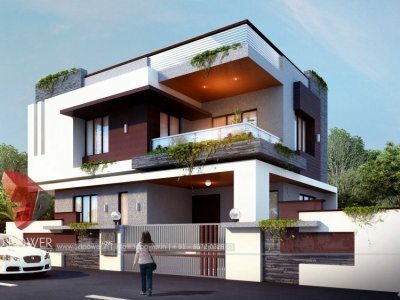 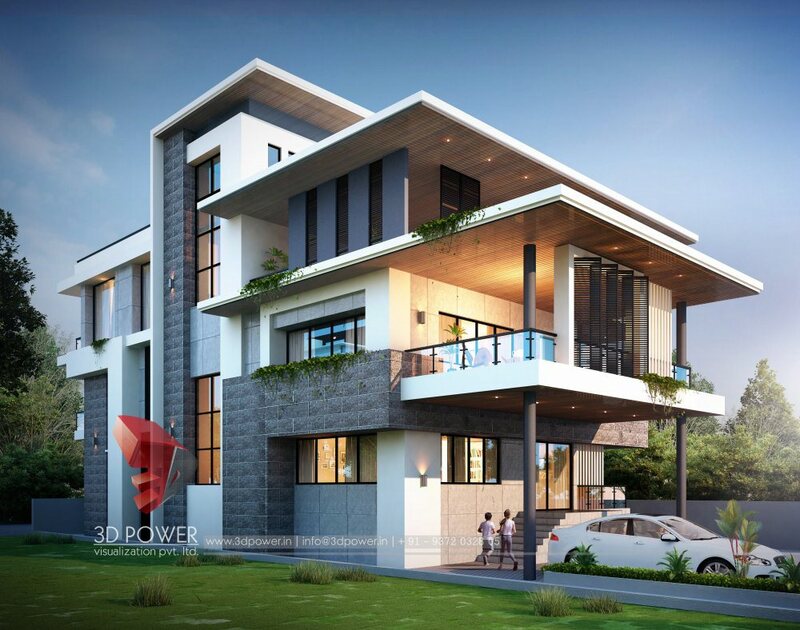 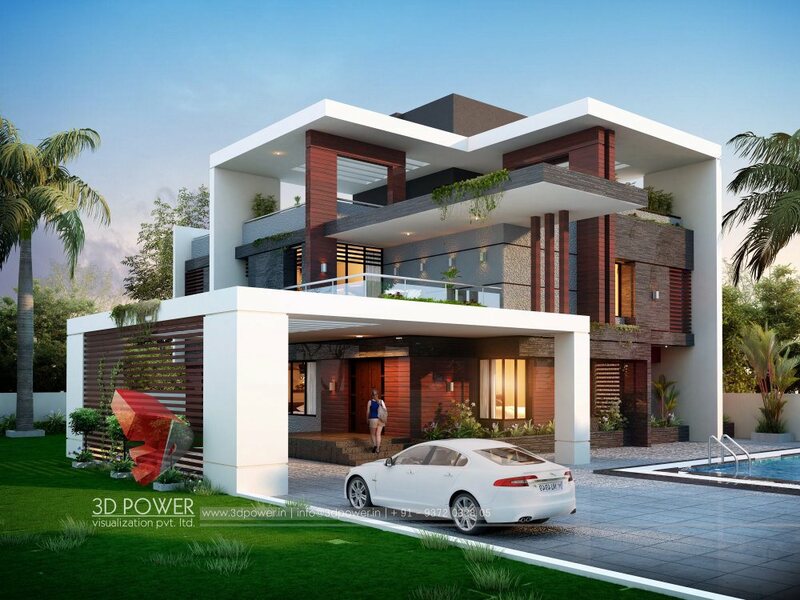 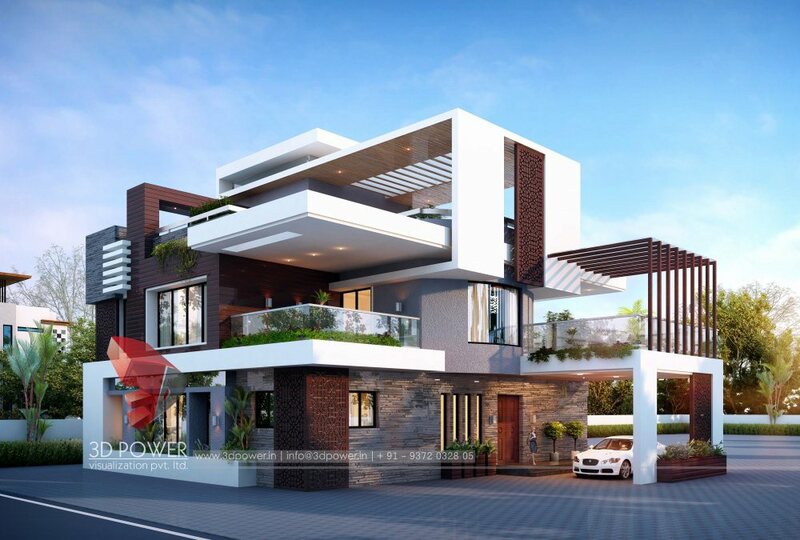 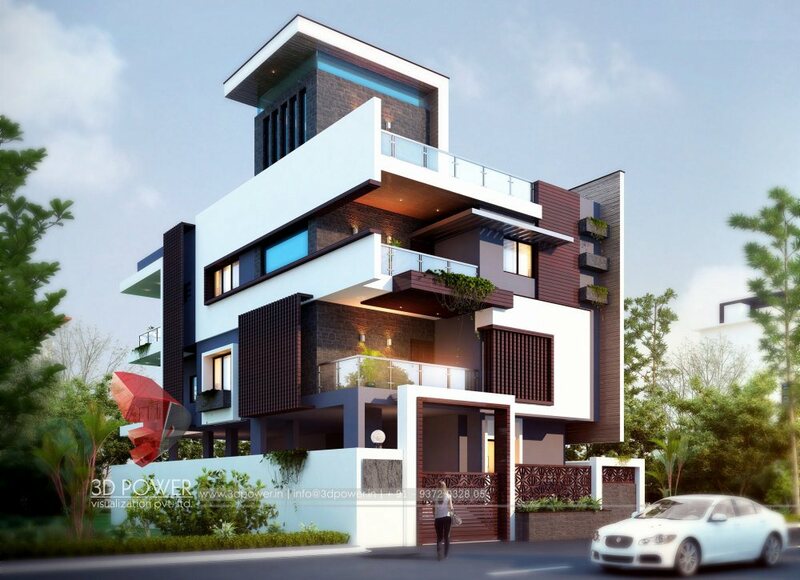 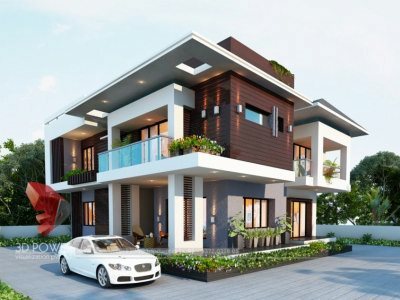 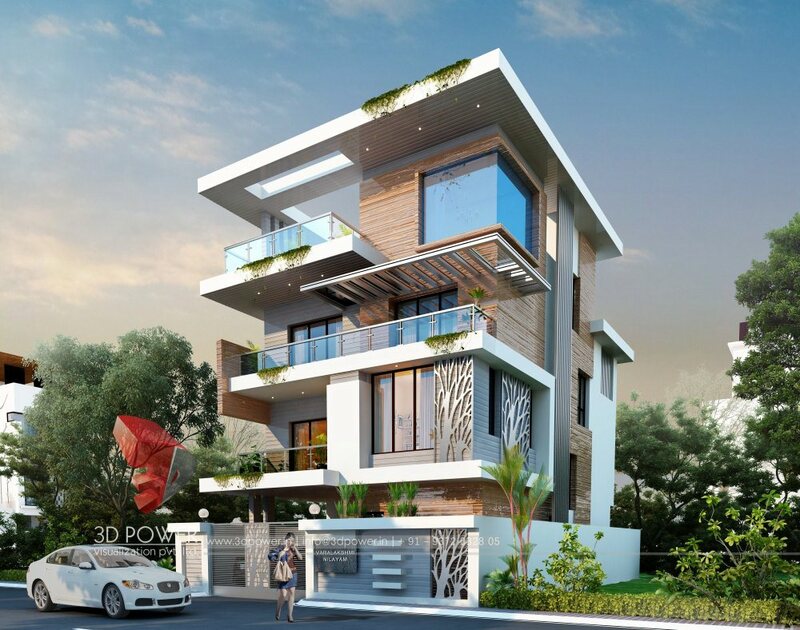 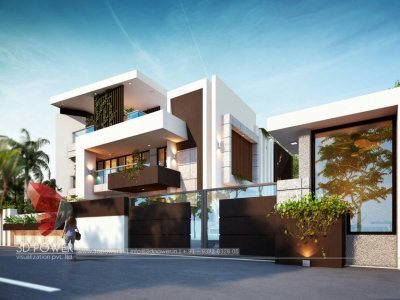 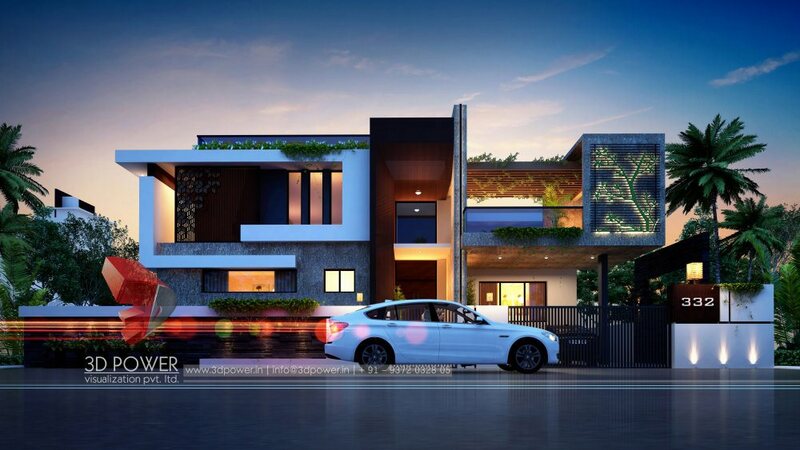 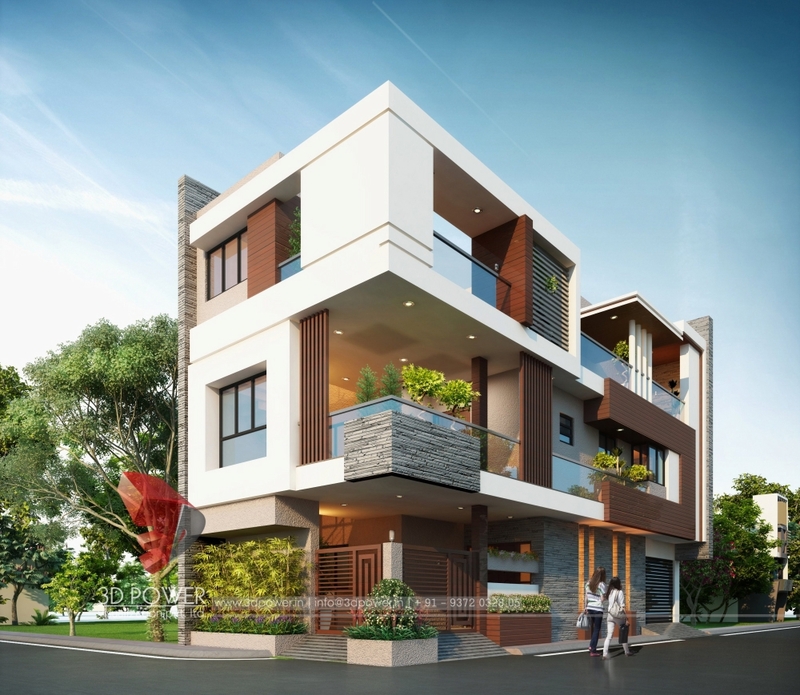 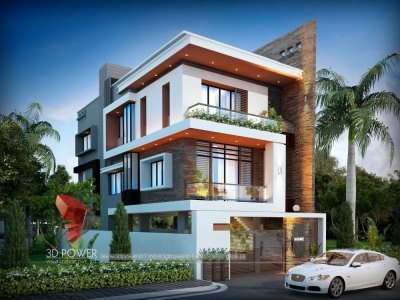 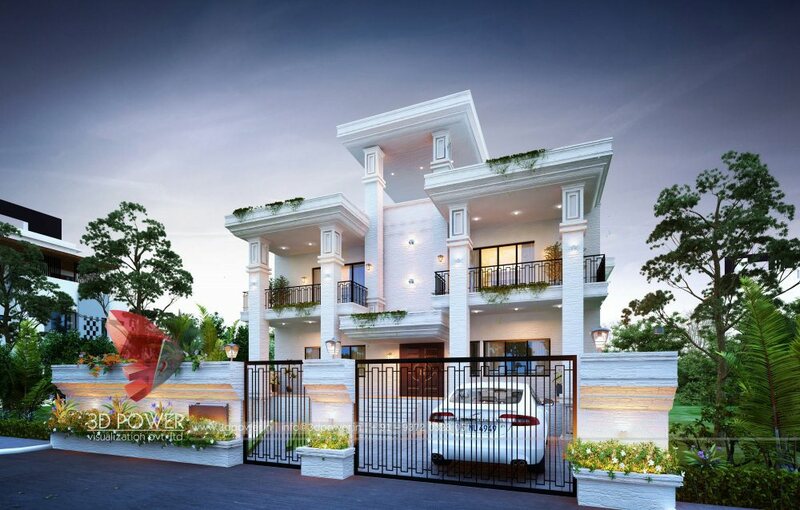 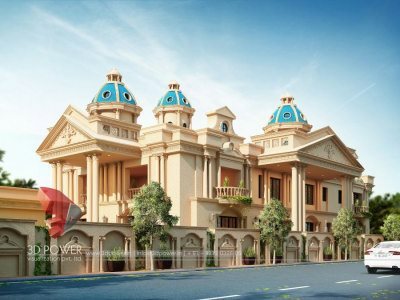 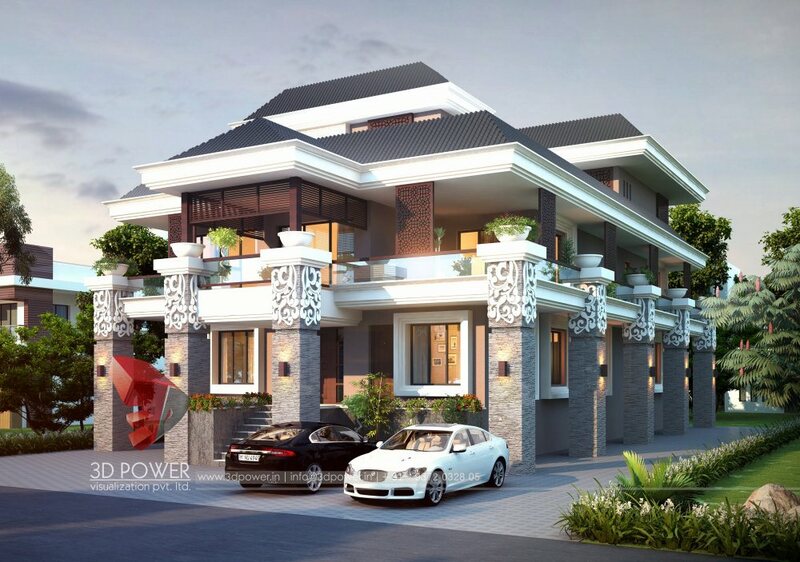 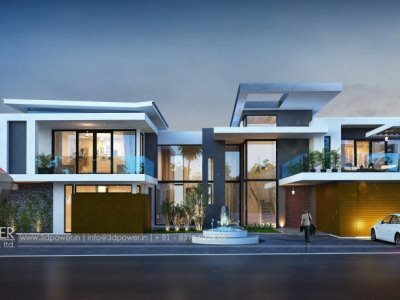 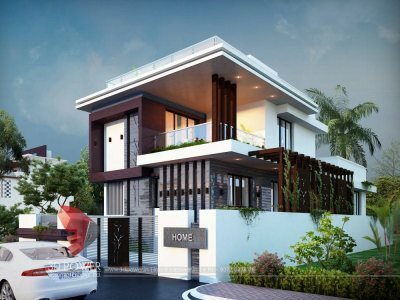 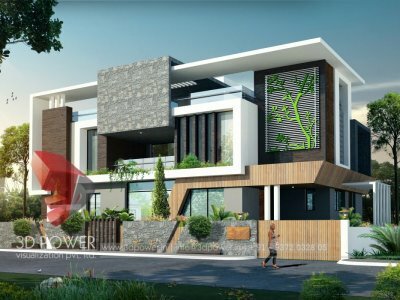 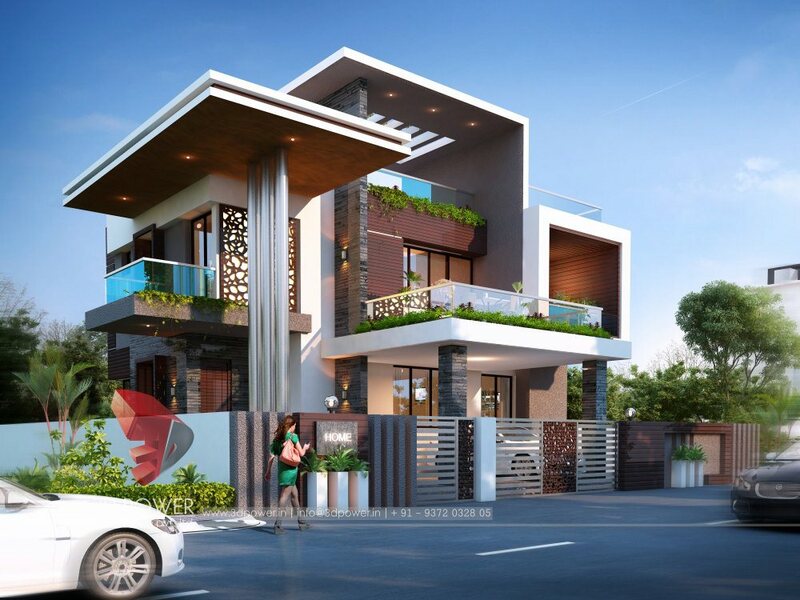 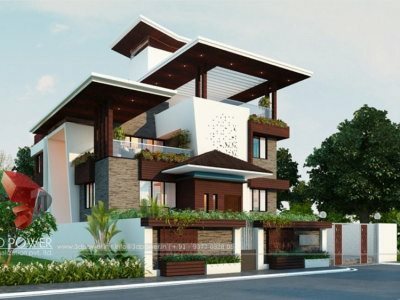 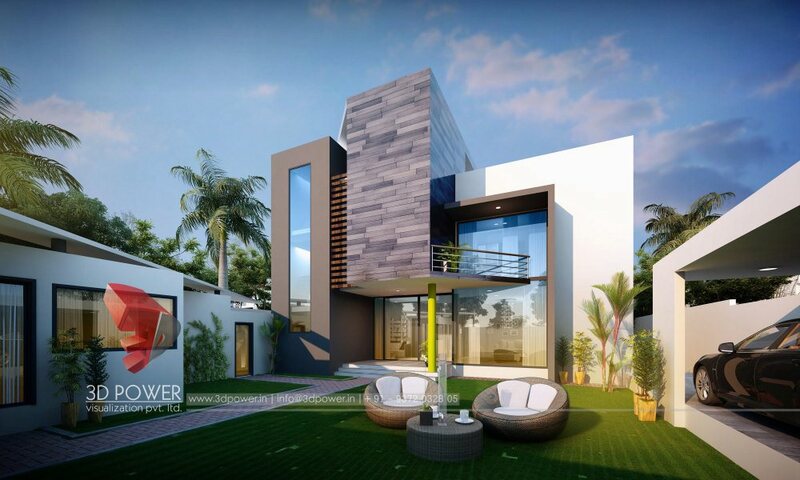 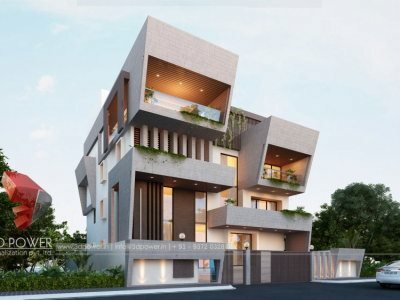 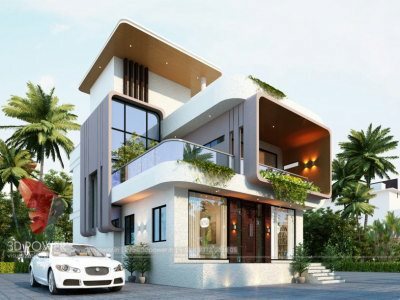 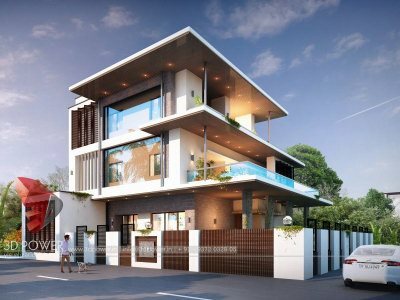 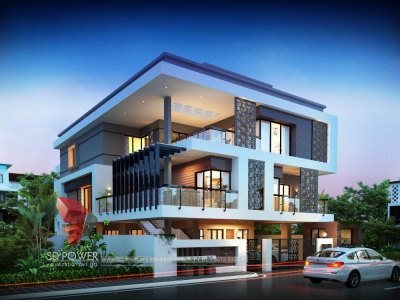 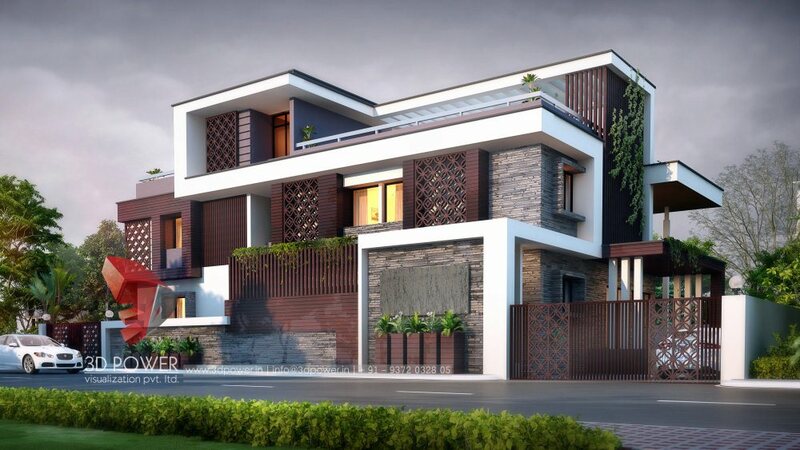 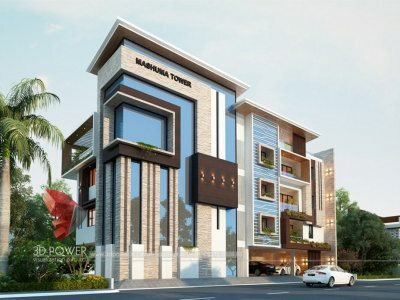 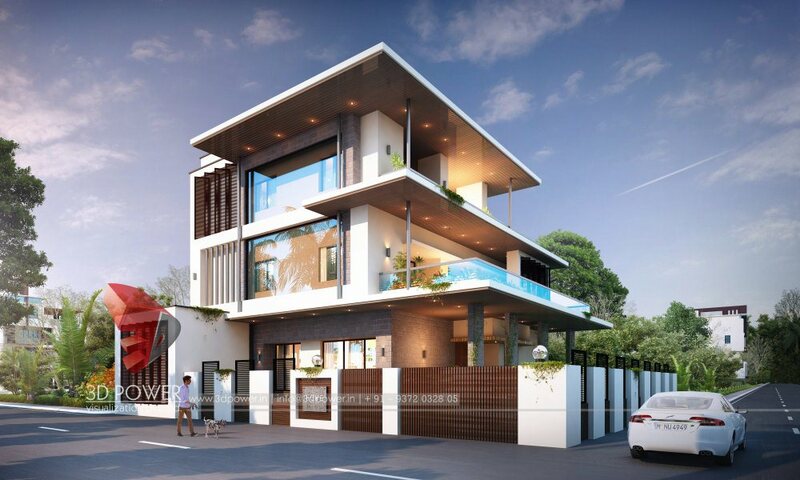 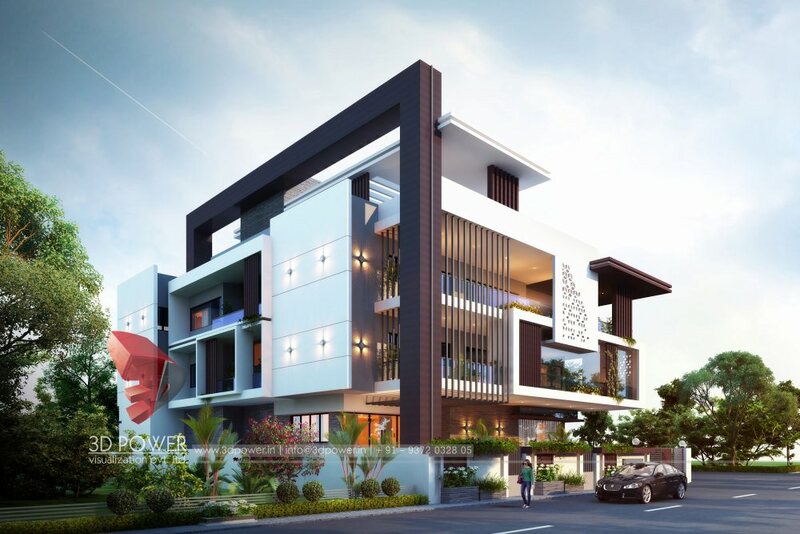 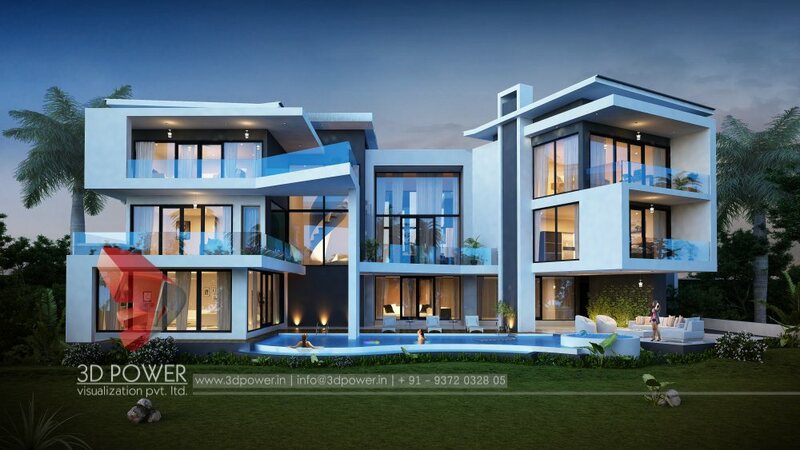 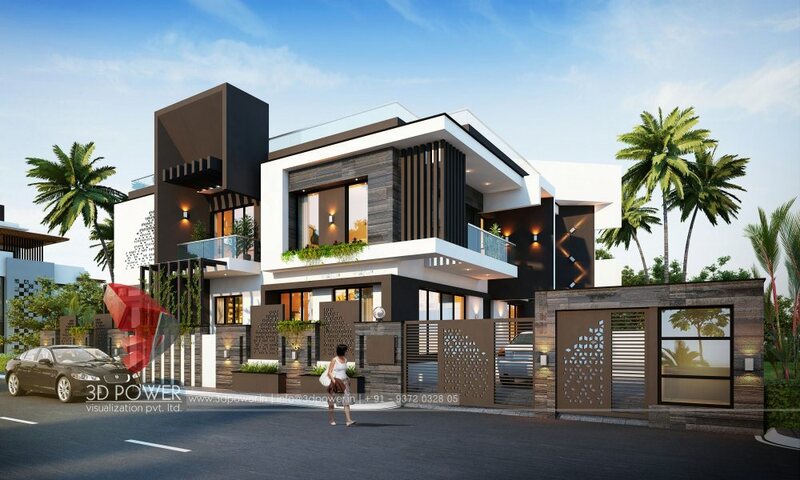 Come experience modern bungalow visualization like never before exclusively at 3D Power Visualization Pvt Ltd.
3D Power delivers a quality rendering of the luxury home close to work, hospitals, school, college, to ensure you are never far from the family. 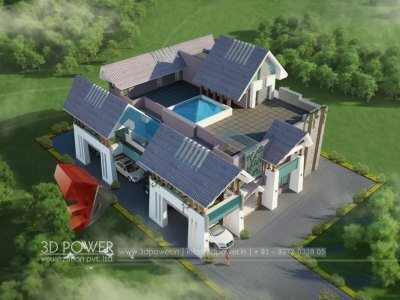 3D Power shows unique living space designed to celebrate life’s best moments. 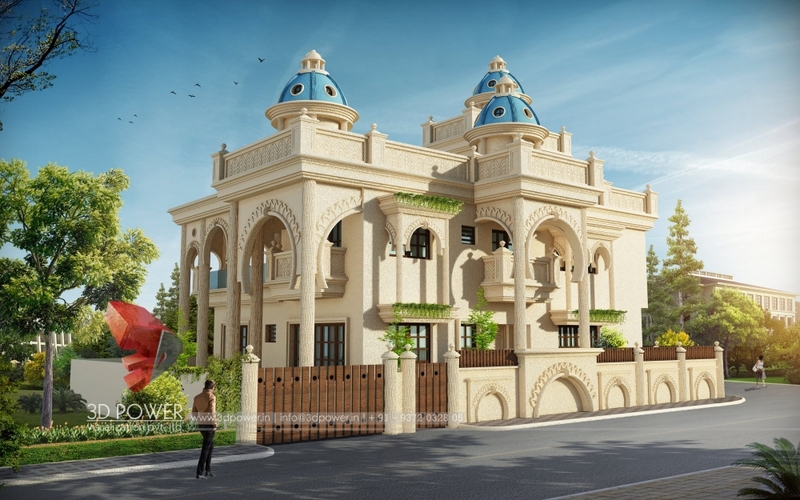 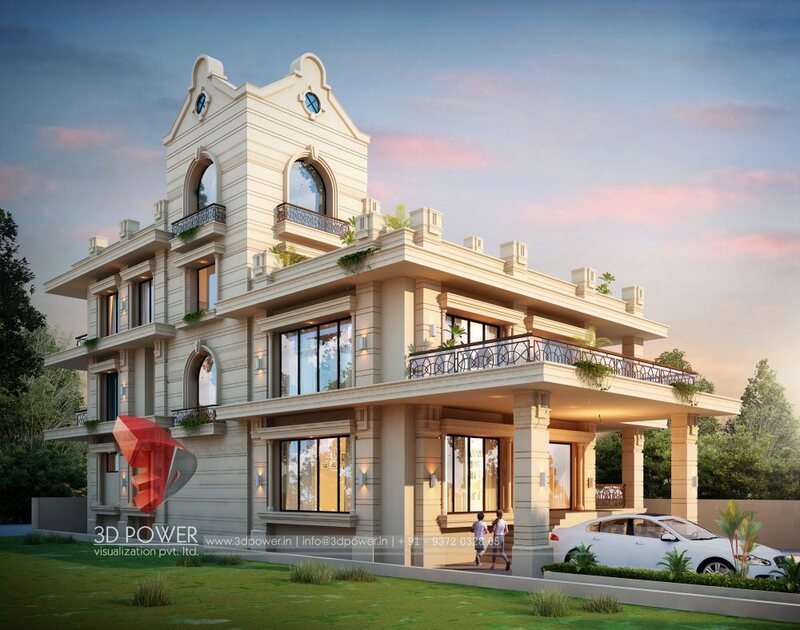 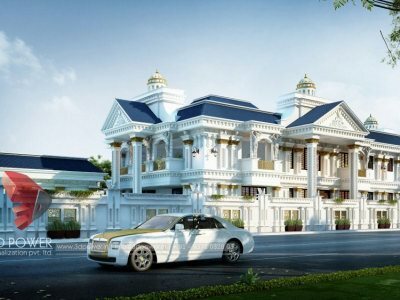 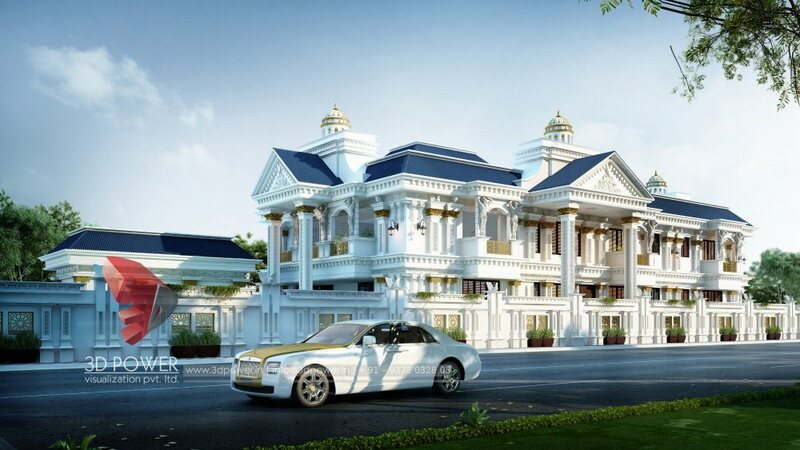 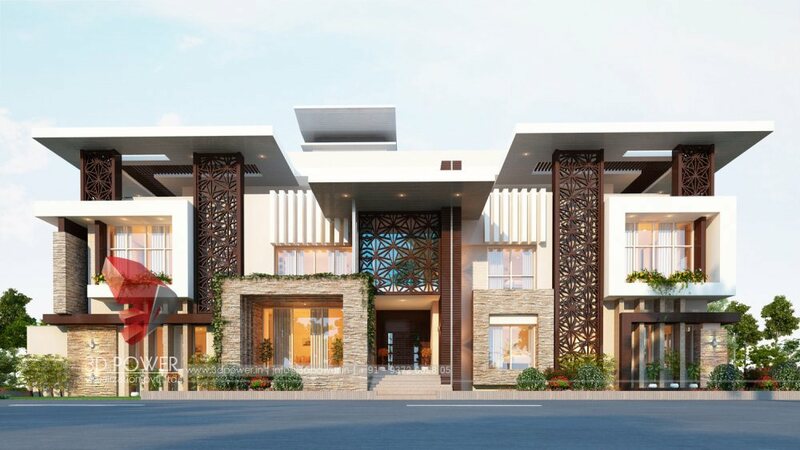 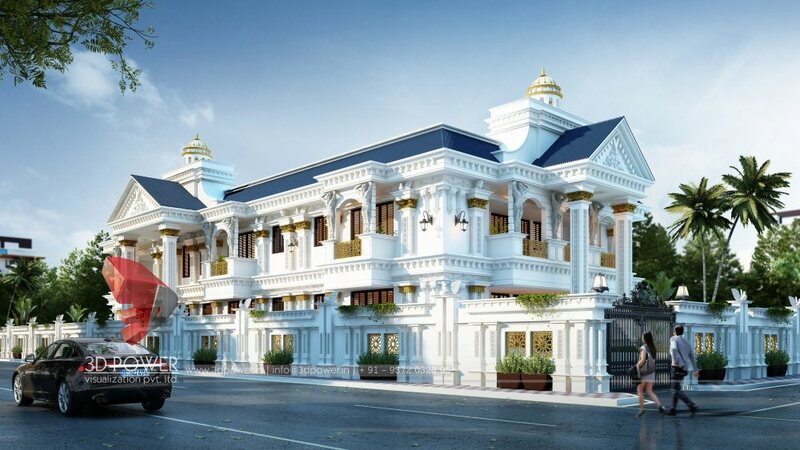 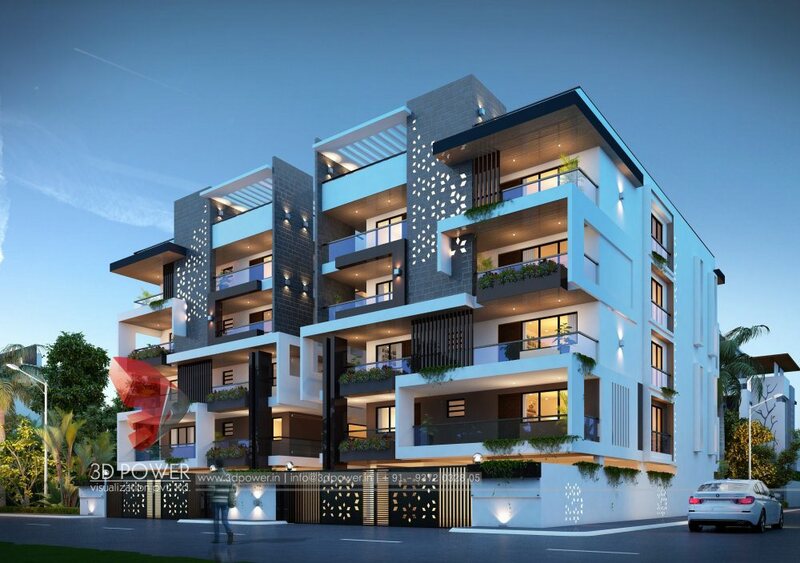 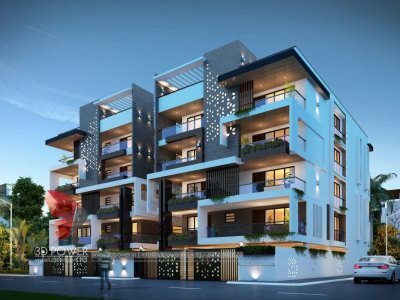 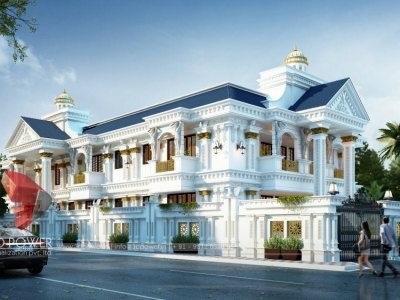 Adding to the charm, it also showcases grand entrance gate with fully loaded amenities like Club House, Gym, Jogging Park, Yoga Deck, Shree Ganesh Temple, Party Terrace, Children's Play Area etc, 3D Power’s exclusive rendering says it all.